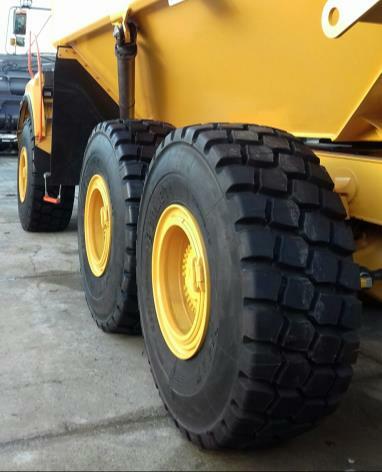 This mobile cranes is equipped with ECOMEGA M3HS tyres. 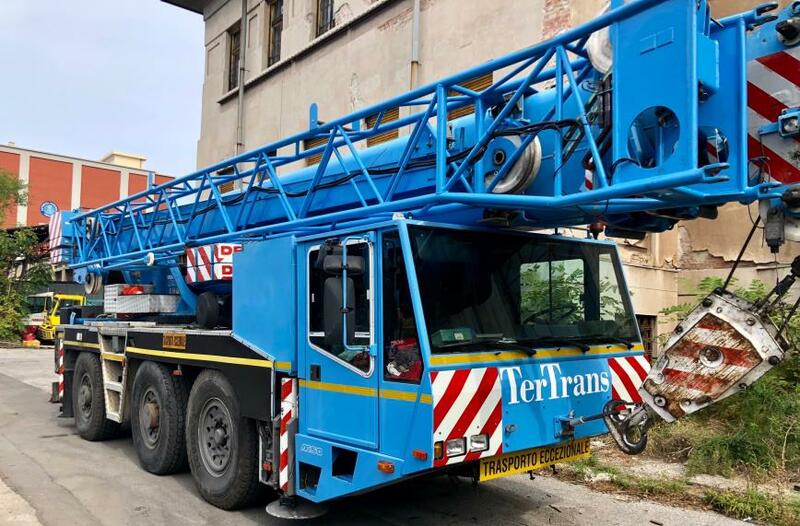 The crane is part a fleet of one of the most important contractor company in Italy. 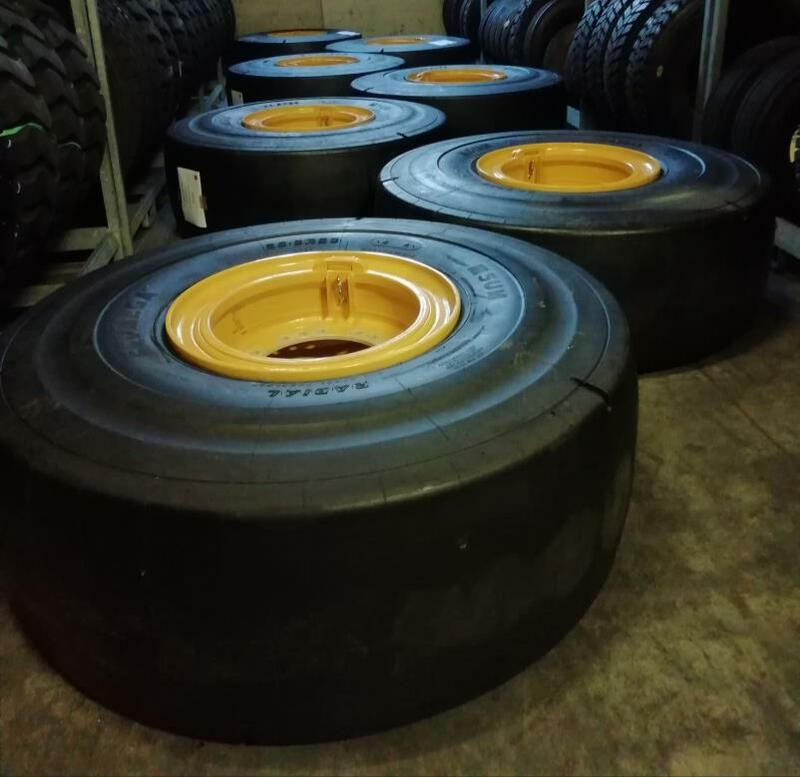 Tyres are ECOMEGA M3HS SIZE 445/95R25 (16.00R25) 3*** TL. 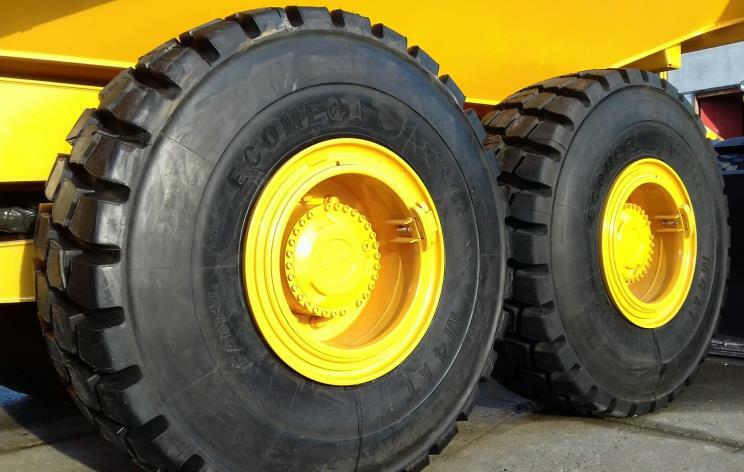 ECOMEGA is glad to inform you that one of the most important Aluminium company in ostrich has chosen ECOMEGA L5-S SMOOTH tires to be installed on 4 new loaders. 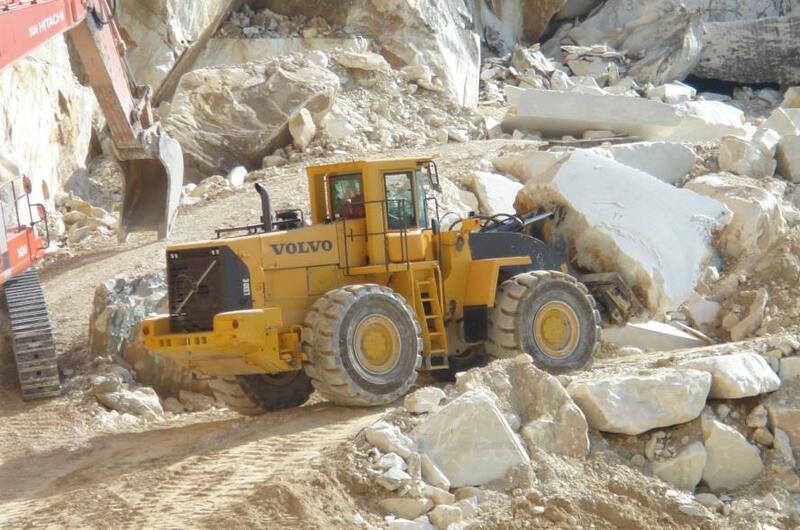 The loaders will work in very hard conditions. 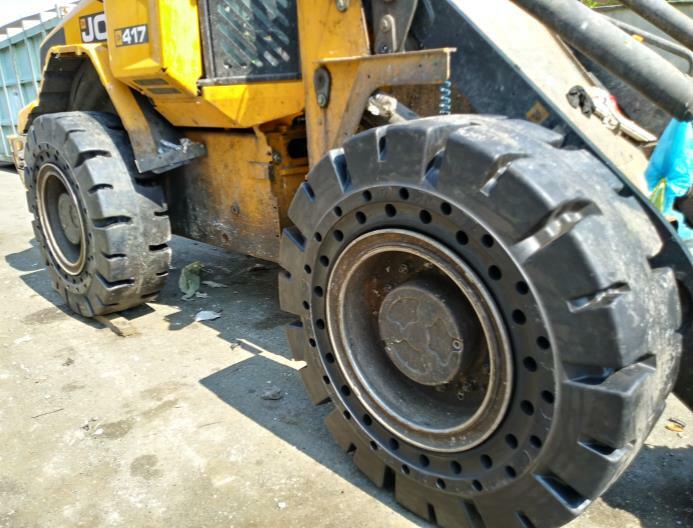 All the tires have been filled with polyurethane. 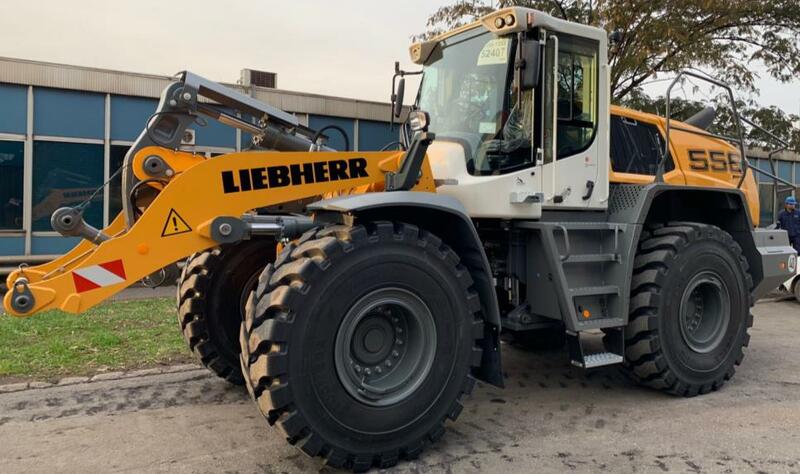 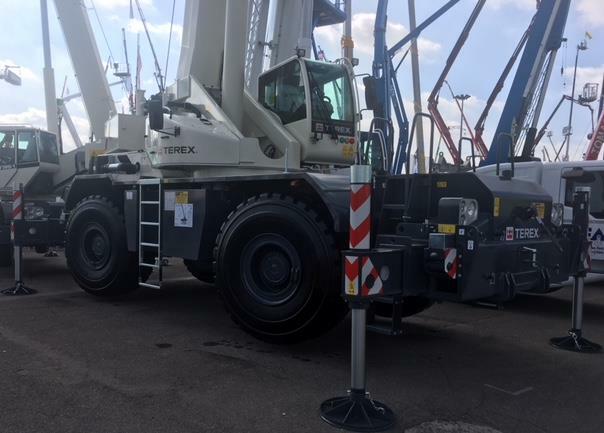 Another new LIEBHERR machine has been delivered, direct from the factory, with ECOMEGA OTR tires in original equipment to one of the main steel factory group in Italy. 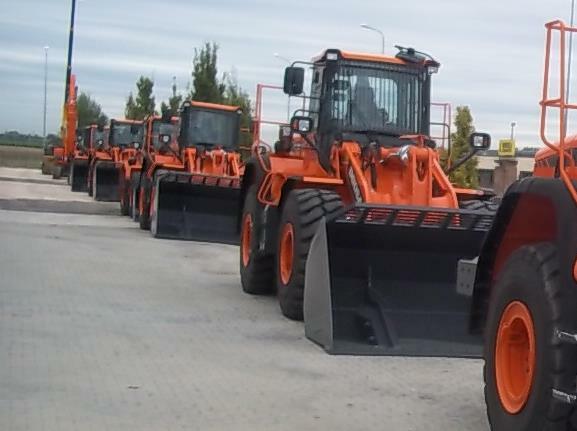 ECOMEGA is increasingly chosen as a premium from big European groups. 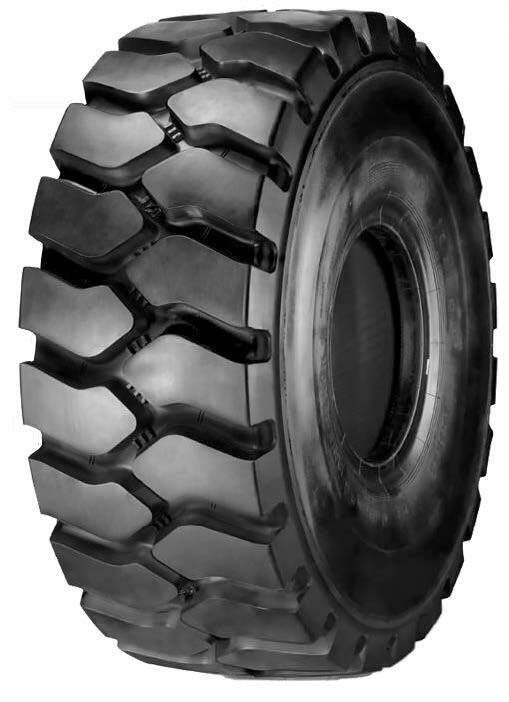 ECOMEGA M5DT L5 2** TL as tyre equipment. 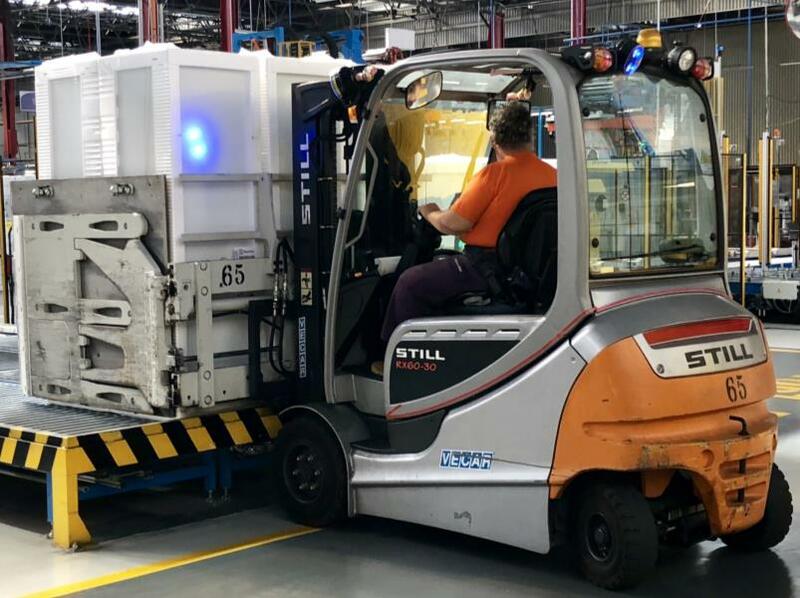 ECOMEGA is proud to inform you that has been chosen from one of the most important rental fleet of to become a technical partner of its 100 machines inside ELECTROLUX plant. 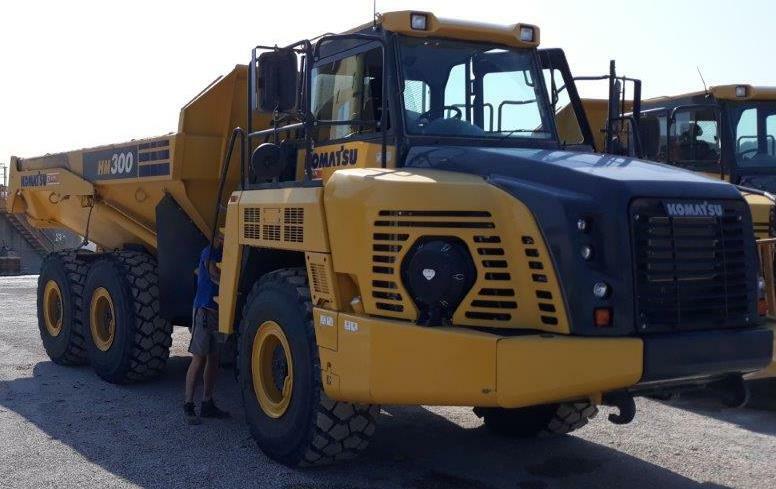 FASSA BORTOLO chooses again BULLBLACK OTR to equip one of its loader VOLVO who work in one of their factory in north of Italy. 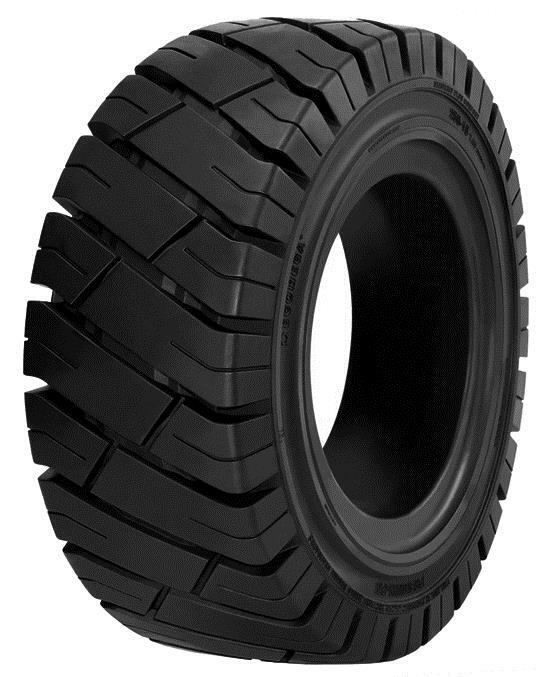 BULLBLACK 26.5R25 BB05 L5 2** TL as tyre equipment. 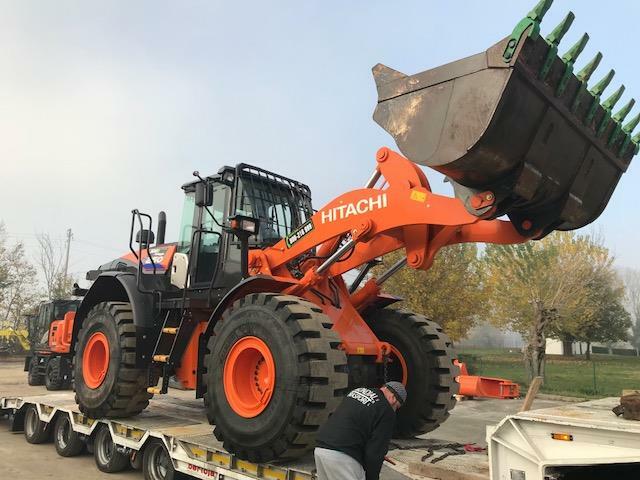 ECOMEGA is pride to inform you that a Italian CAT dealer has choose BULLBLACK BB07 to fit a new loaders of his rental fleet. 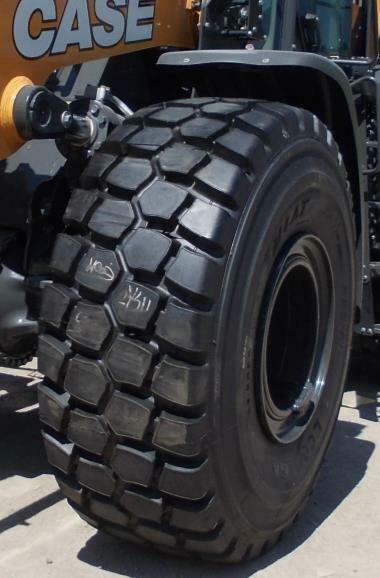 The tires were chosen for their excellent performance results. 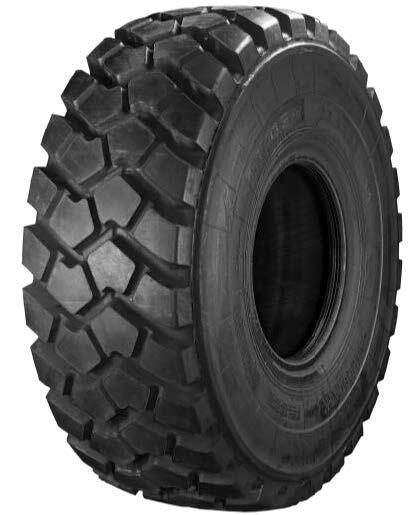 BULLBLACK 23.5R25 BB07 L5 2** TL as tyre equipment. 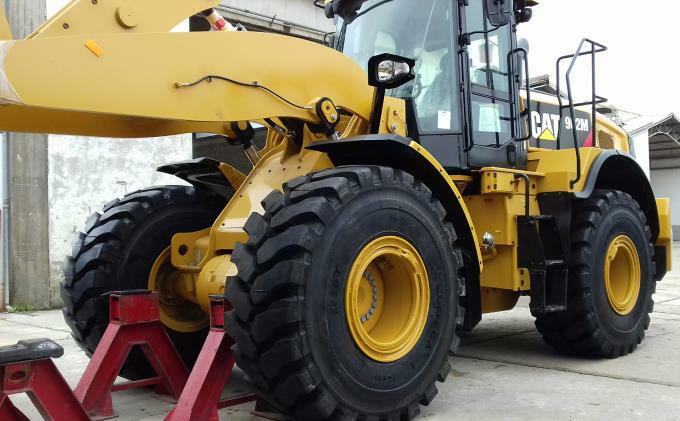 Again this week, BULLBLACK OTR tires have been chosen from a CAT Italian dealer, to be installed on a new machine delivered to the customer. 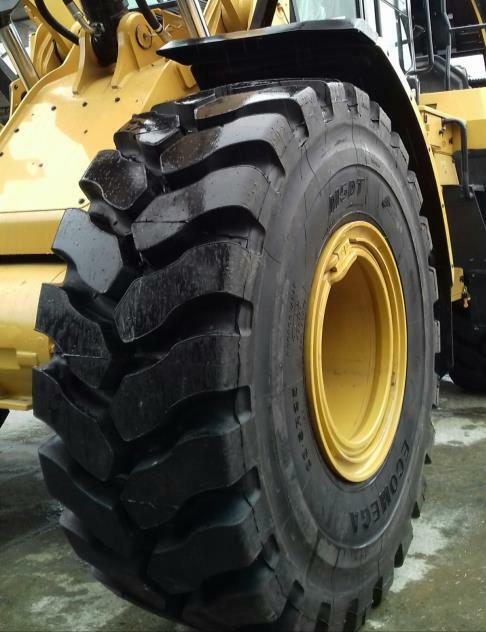 The dealer chooses BULLBLACK BB07 based on his strong experience with the brand and confident of the quality and performance of the tires. 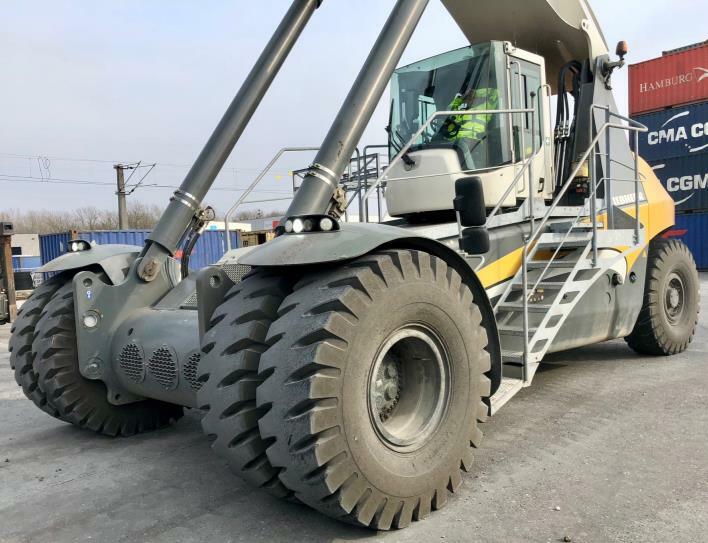 BULLBLACK OTR tires has been chosen from one of the most important wood recycling company in Italy to equip one loader VOLVO L120H of their fleet. 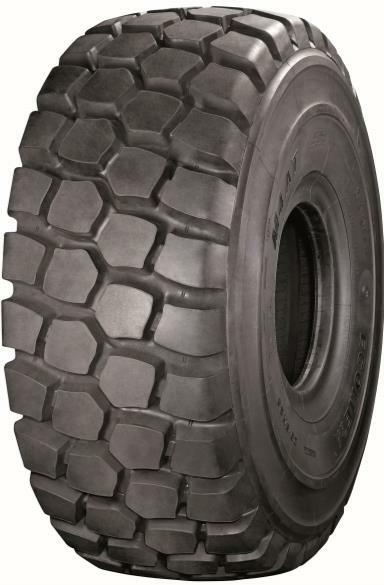 BULLBLACK 23.5R25 BB05 L5 2** TL as tyre equipment with tared depth 74mm. 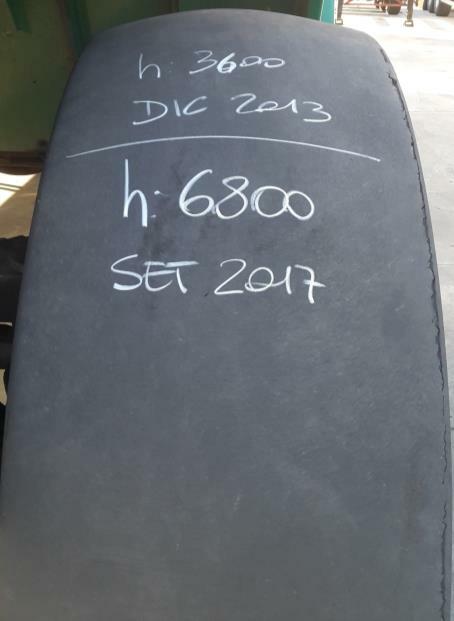 To date tires run 3.722 W/h. 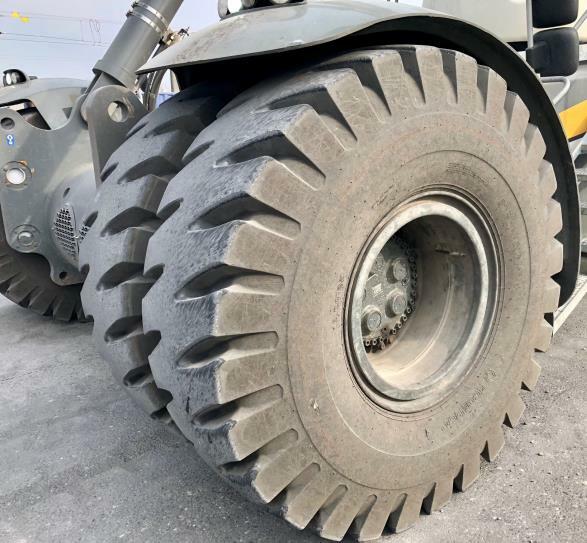 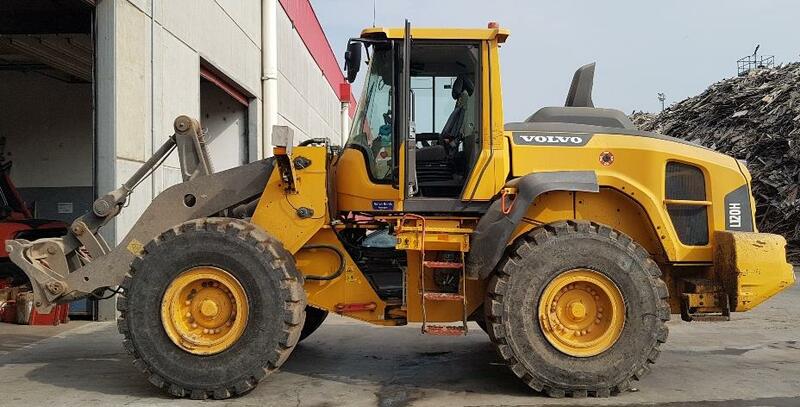 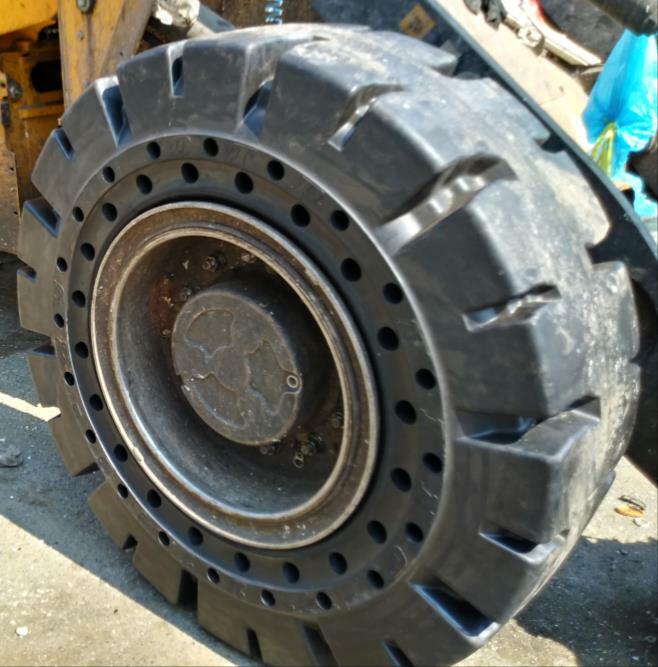 Once again ECOMEGA M4AT tyres have been chosen from customer who worked in an organic material recycling plant, to equip its loader VOLVO L110H with E4/L4 tyres which assure extra grip and protection from the puncture. 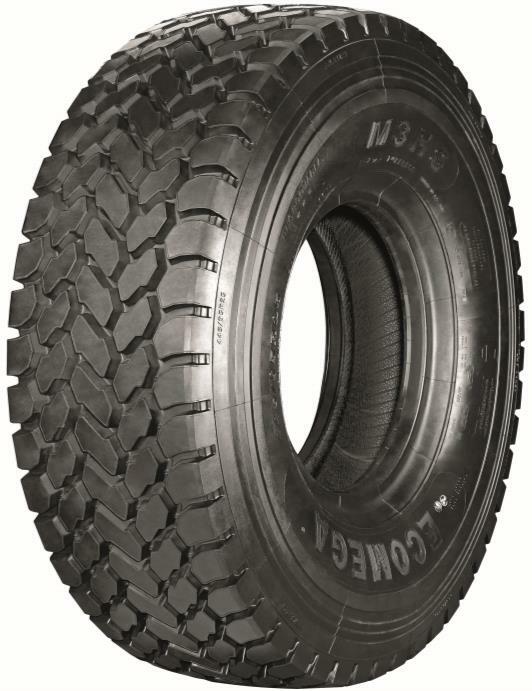 ECOMEGA 23.5R25 M4AT E4/L4 2** TL as tyre equipment. 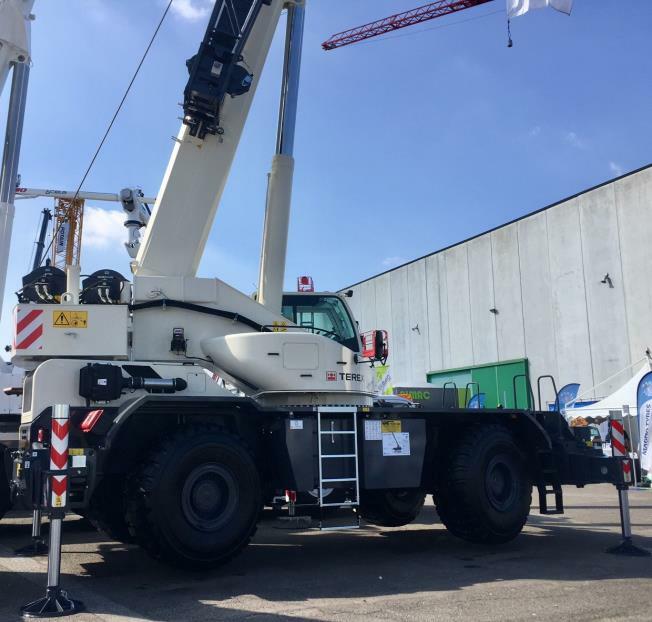 This mobile cranes is equipped with ECOMEGA M2HS. 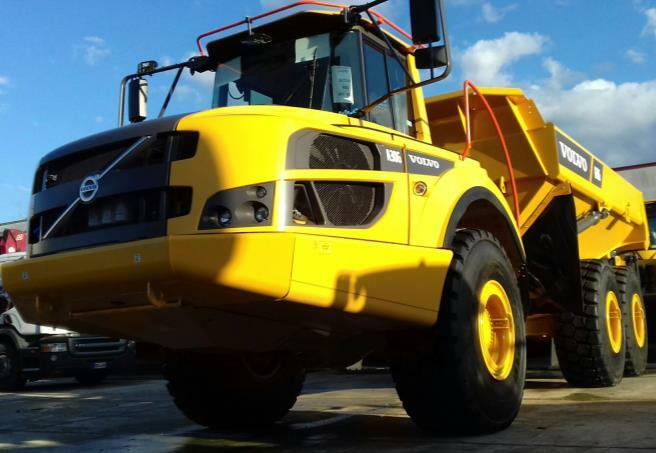 The machine is part of one of the most leading fleet based in the north-east of Italy. 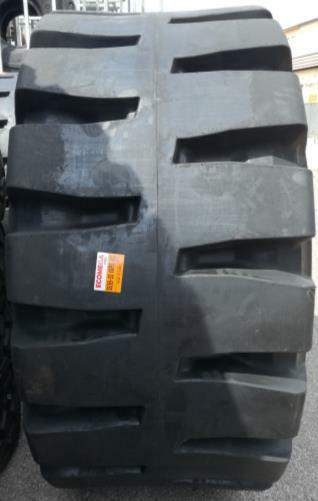 Tyres are ECOMEGA M2HS SIZE 385/95R25 (14.00R25) 3*** TL. 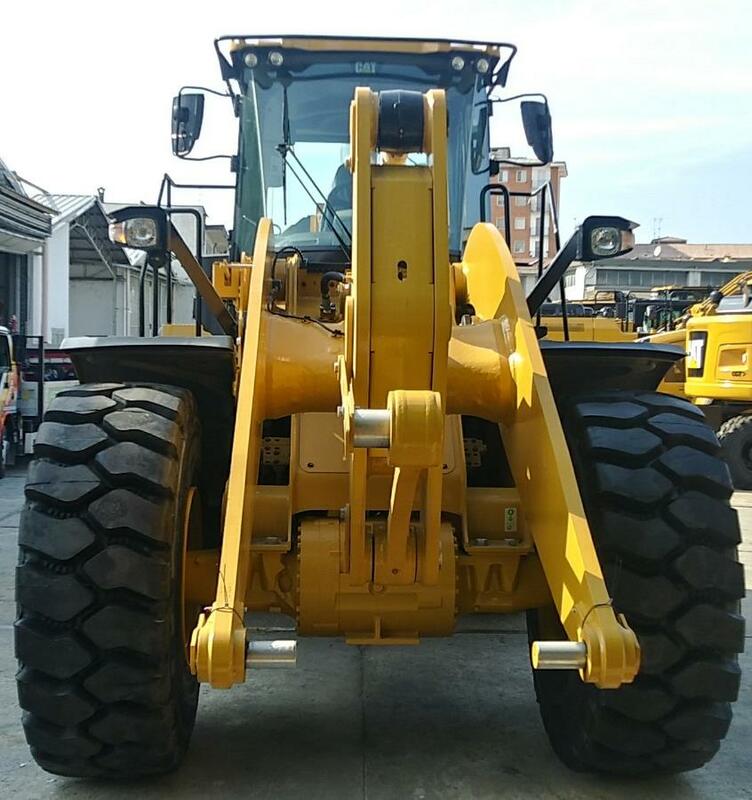 Even if the M2HS model has been substituted by the new version M3HS 3 years ago, many customers are still running the previous model. 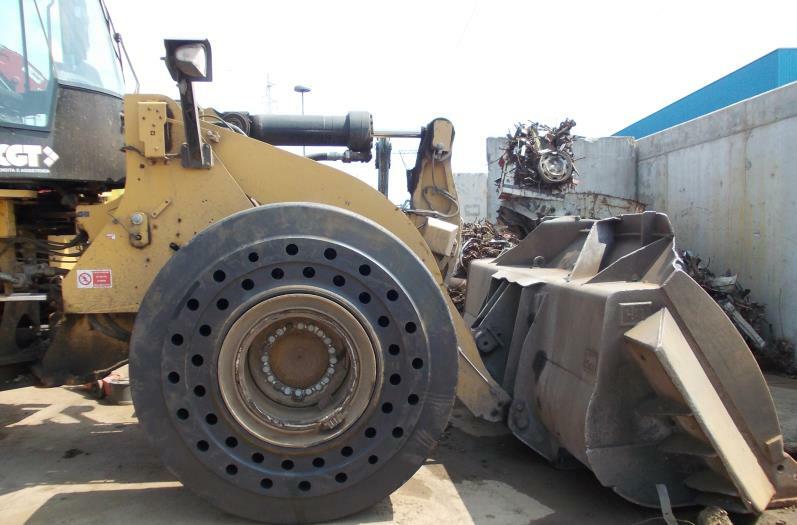 This witnesses the high quality of the product and ECOMEGA carcasses. 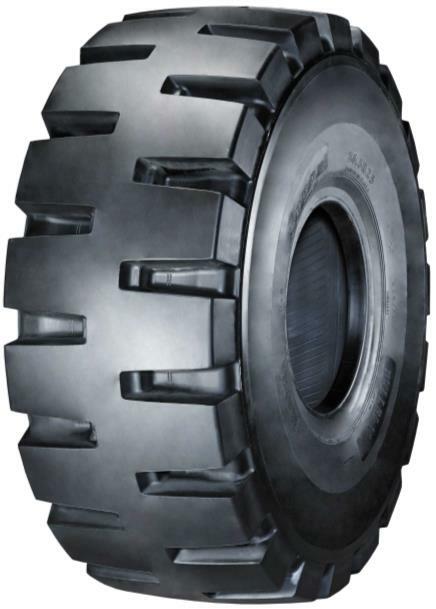 Also today we are pleased to inform you that BULLBLACK E4 tires have been chosen from one of the major Austrian machinery dealer, to be fitted on a new Komatsu dumper. 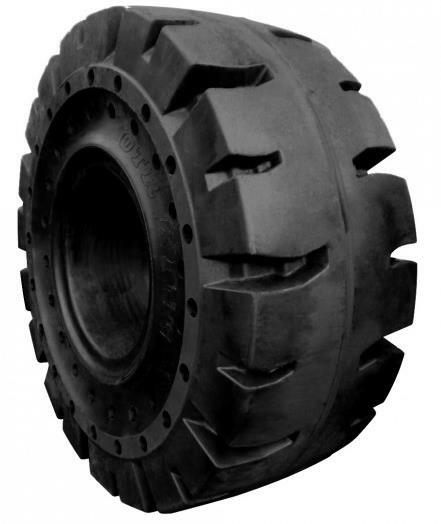 Tires are BULLBLACK 23.5R25 BB03+ E4/L4 2**. 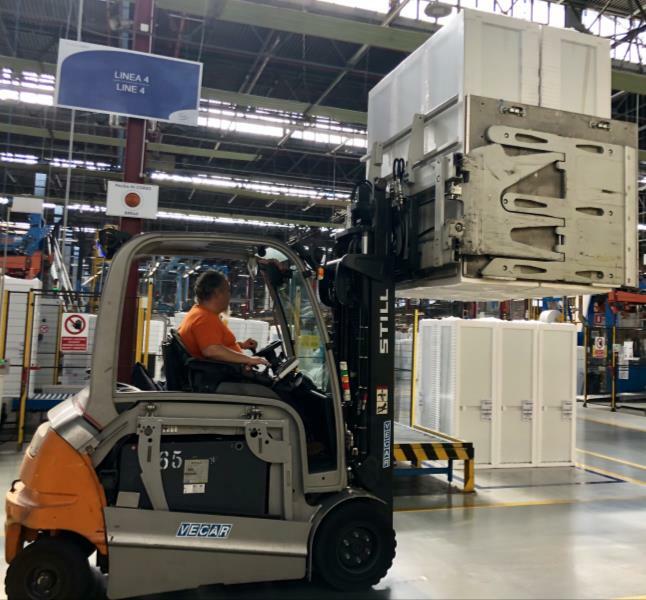 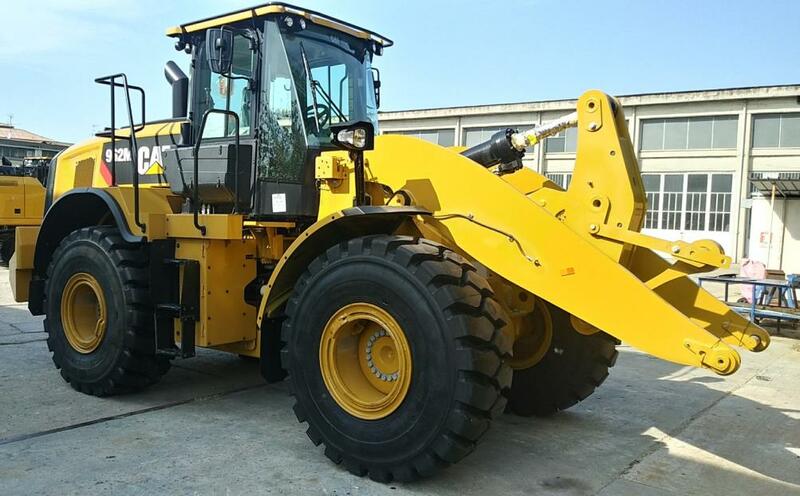 The solution of 17.5-25 L5 SOLID have been chosen for the second time from JCB dealer in Italy to fit a machine on rental in a waste management station. 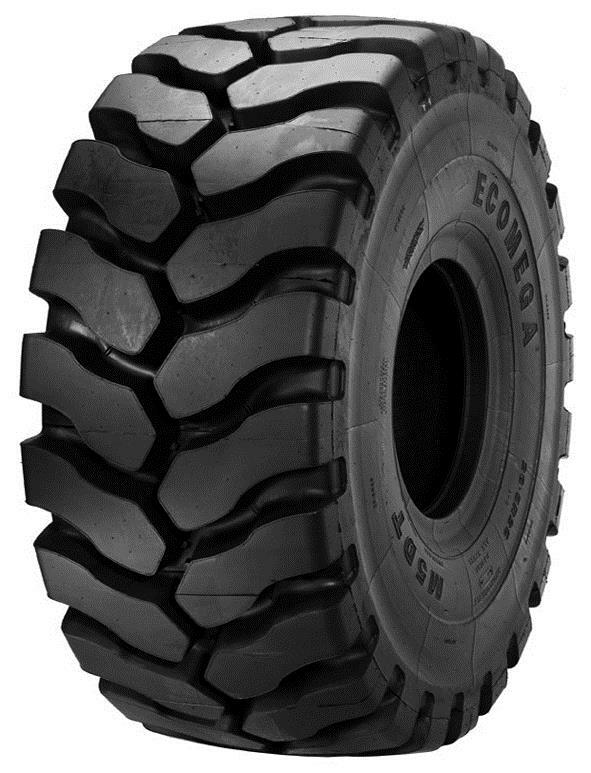 ECOMEGA 17.5-25 L5 SOLID as tyre equipment. 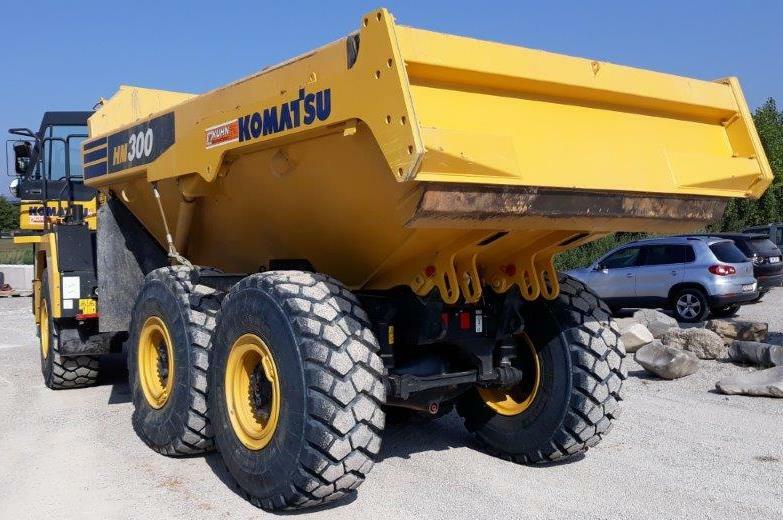 Once again SACCON GOMME & ECOMEGA tyres have been chosen from one of major Austrian machinery dealer, to fit 1 dumper Komatsu HM300-5 of its rental fleet. 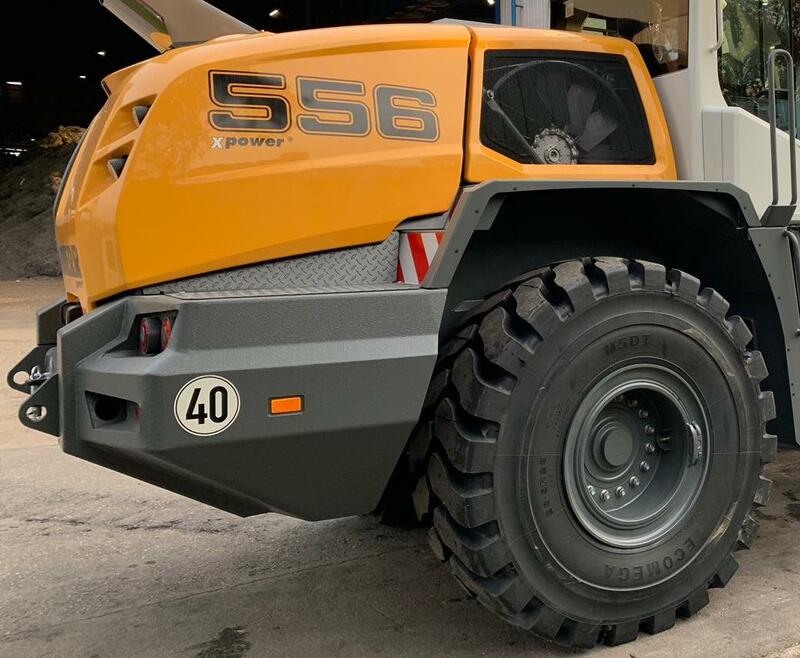 26.5-25 L5 SOLID SMOOTH have been chosen from a premium worldwide steel manufacture with plant in Italy to fit his machines working on metal recovering sites. ECOMEGA 26.5-25 L5 SOLID SMOOTH as tyre equipment. 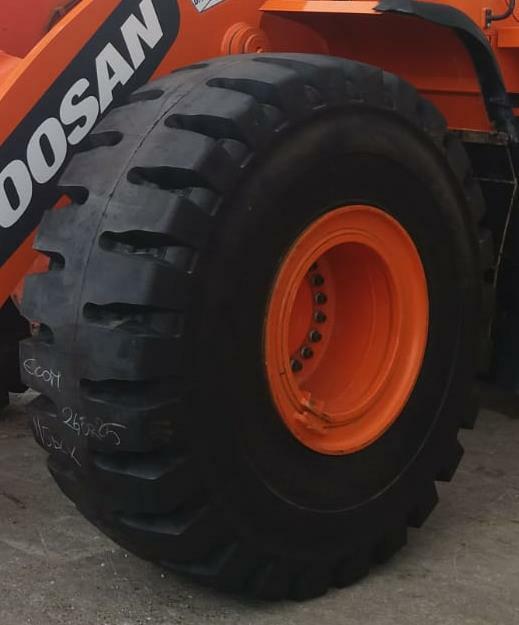 Again this week, ECOMEGA OTR tires have been chosen from a DOOSAN dealer, to be installed on a new machine delivered to the customer. 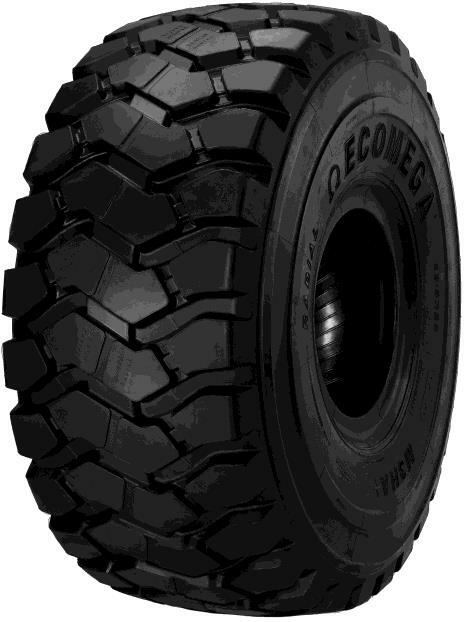 The dealer chooses ECOMEGA M5DLX based on his strong experience with the brand and confident of the quality and performance of the tires. 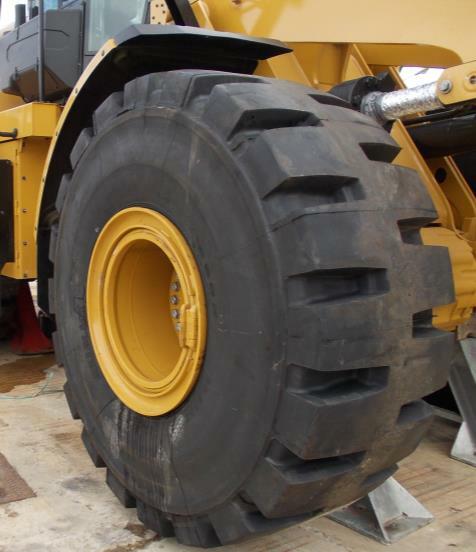 The tires has been also fitted with polyurethane due to the strict application in steel work. 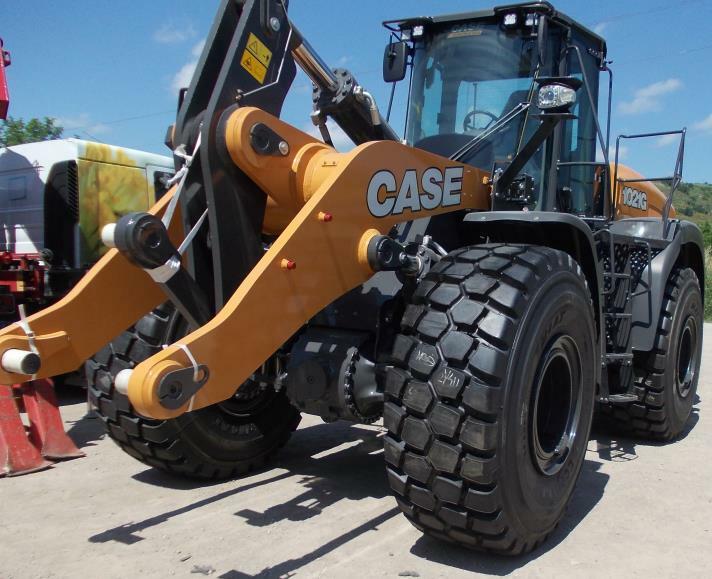 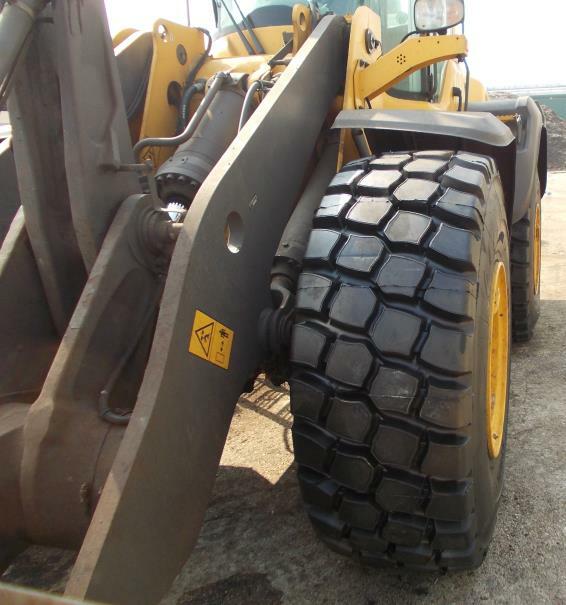 ECOMEGA 26.5R25 M5DLX L5 2** TL as tyre equipment. 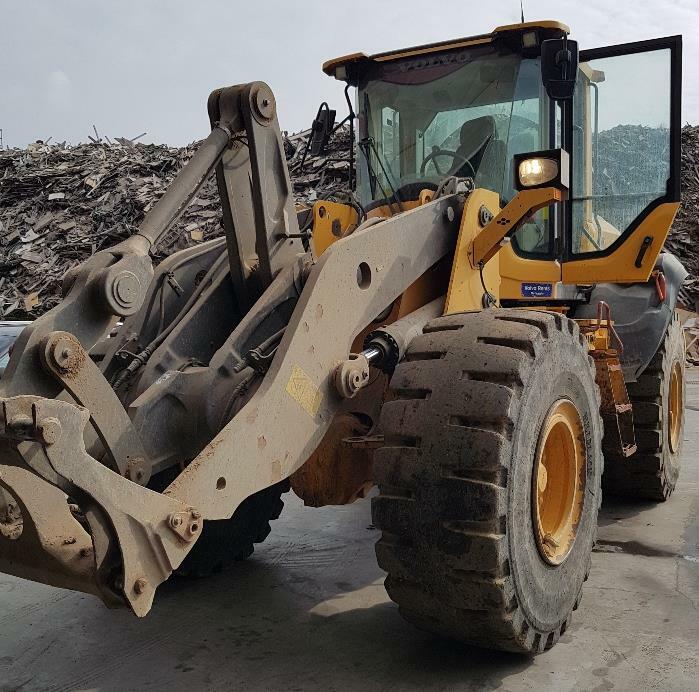 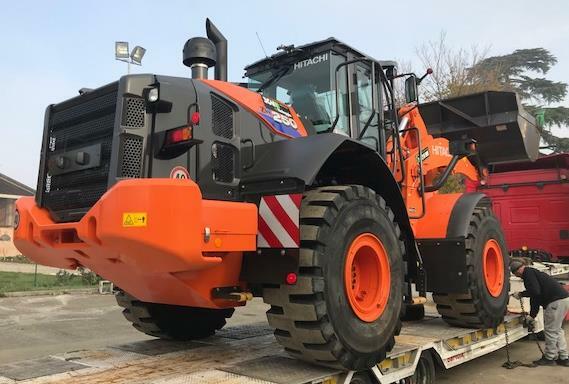 ECOMEGA is pride to inform you that a Italian CAT dealer has choose BULLBLACK BB07 to fit 5 new loaders of his rental fleet who will work for a customer in waste management sector. 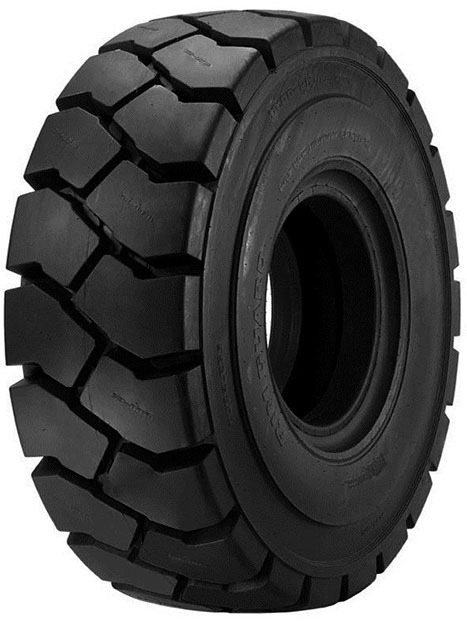 BULLBLACK 20.5R25 BB07 L5 2** TL as tyre equipment. 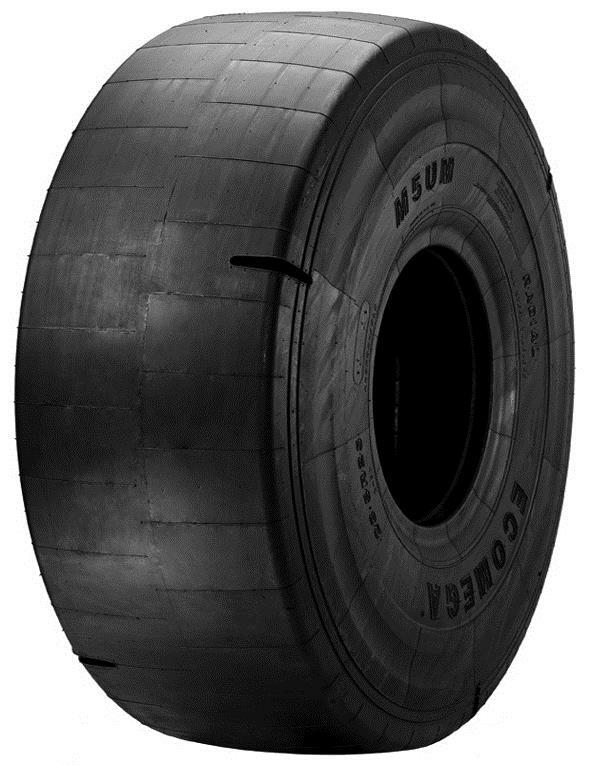 Day after day, BULLBLACK gets a growing success. 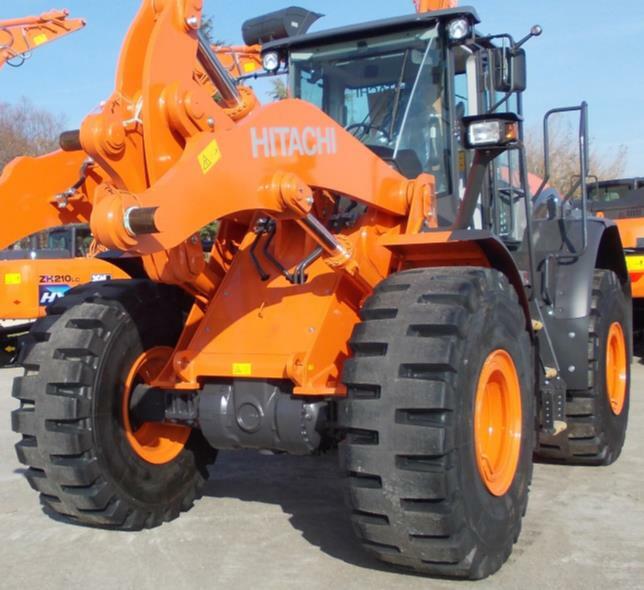 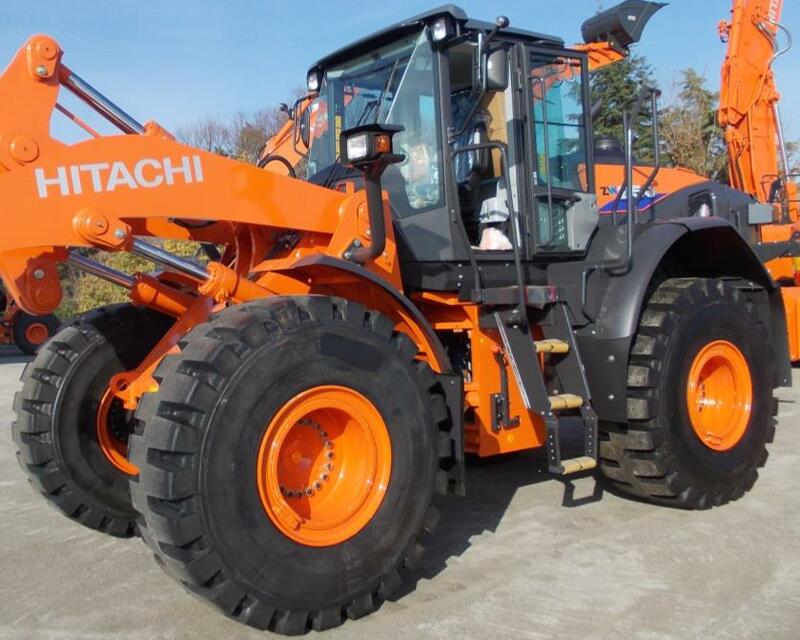 The tires has been chosen to be fitted in a new HITACHI loader from one of the most important machines distributor. 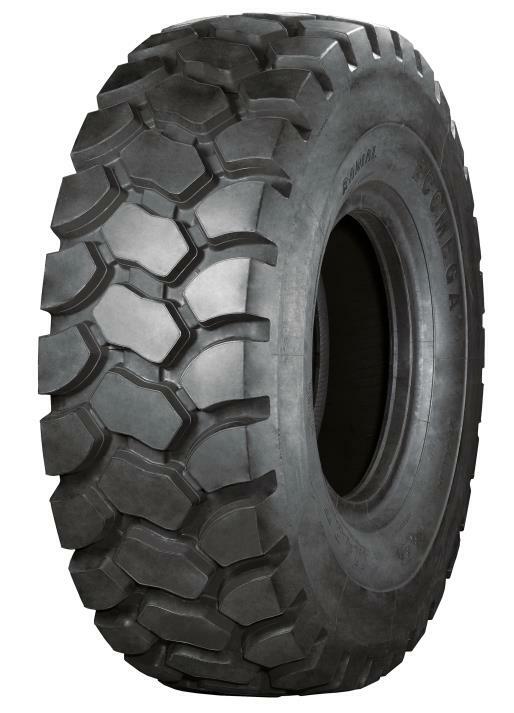 BULLBLACK 23.5R25 BB05 L5 2** TL as tyre equipment. 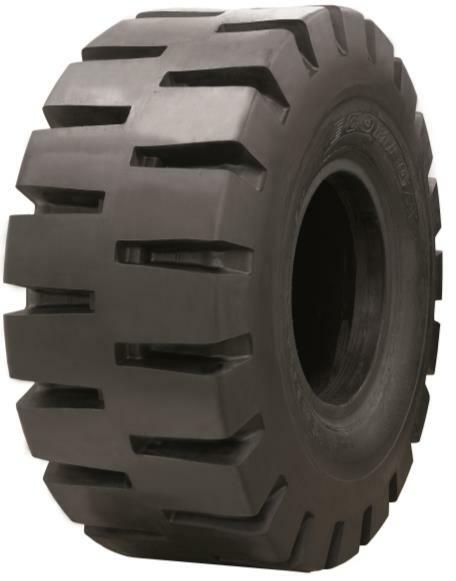 BULLBLACK gets a growing success every day. 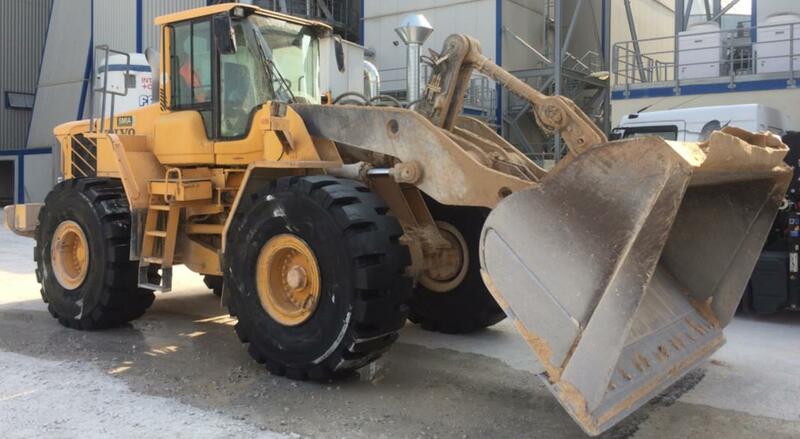 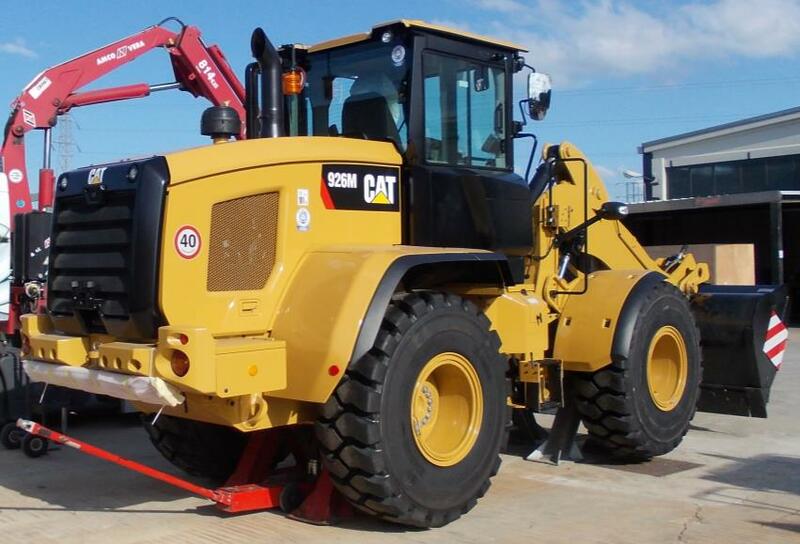 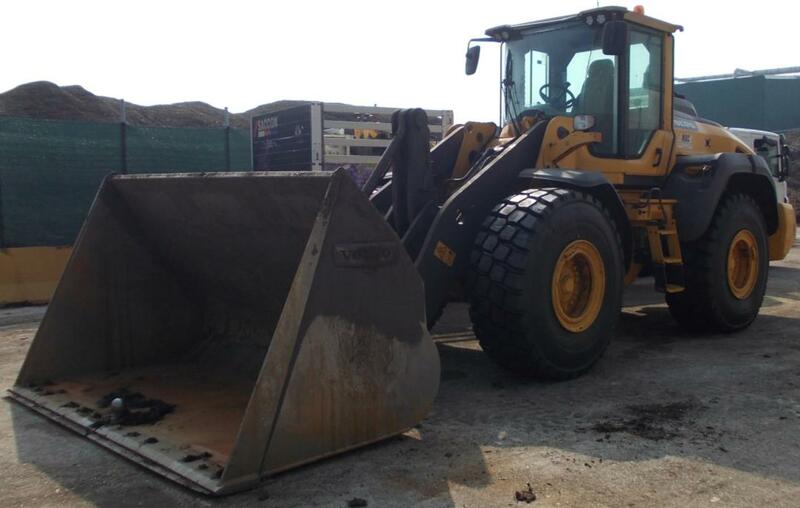 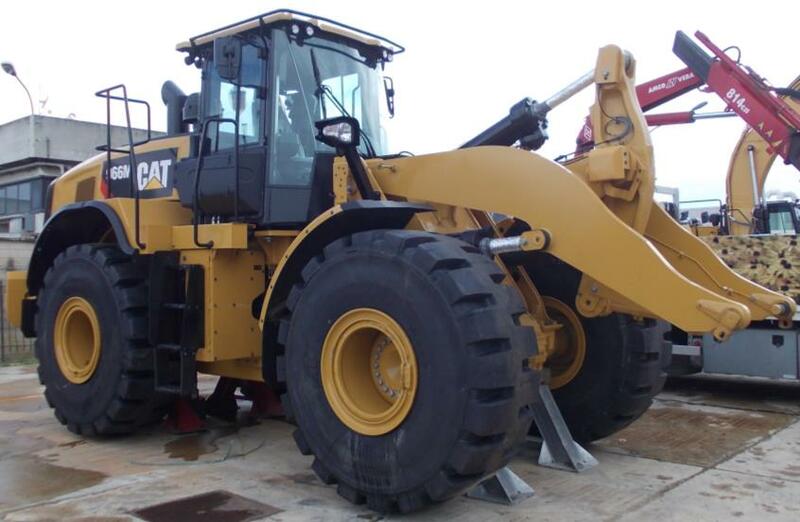 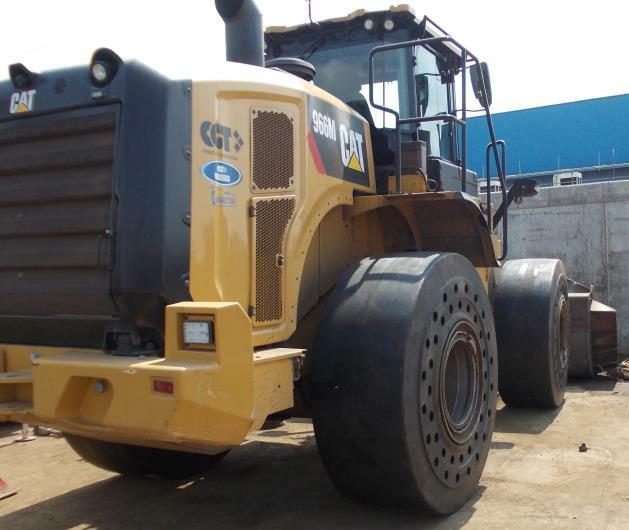 The tires has been chosen to be fitted in a new CAT loader from one of the most important Italian CAT dealer. 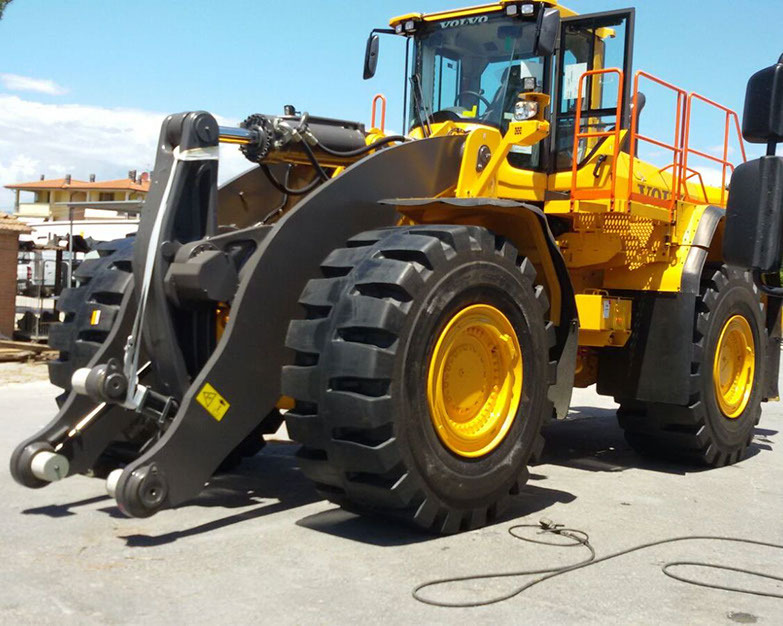 ECOMEGA has obtained another big success with his range of OTR tires: one of the most important dealer of loaders in Italy has choose ECOMEGA M4AT to equip a new loader CASE with special tires in E4/L4 pattern. 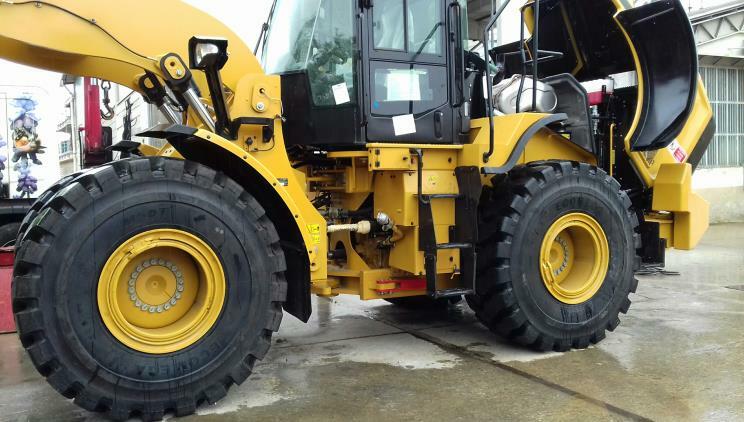 ECOMEGA 26.5R25 M4AT E4/L4 2** TL as tyre equipment. 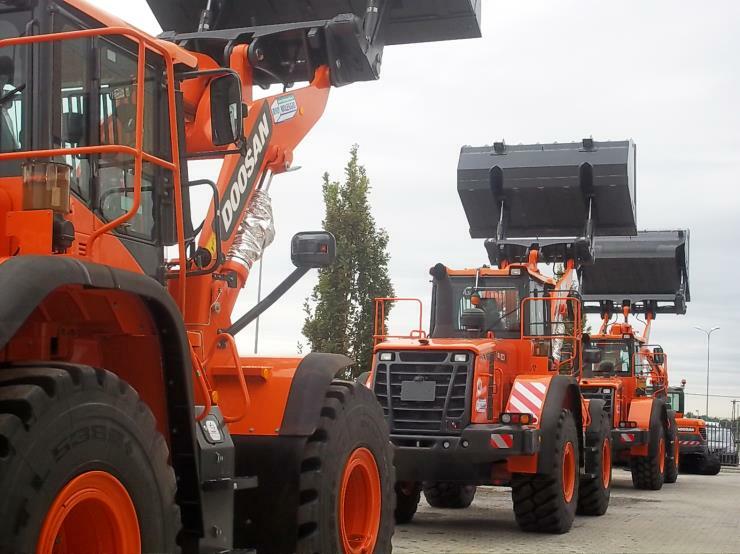 ECOMEGA is proud to inform You that a big fleet in the north of Adriatic are equipped with ECOMEGA L4-S SMOOTH. 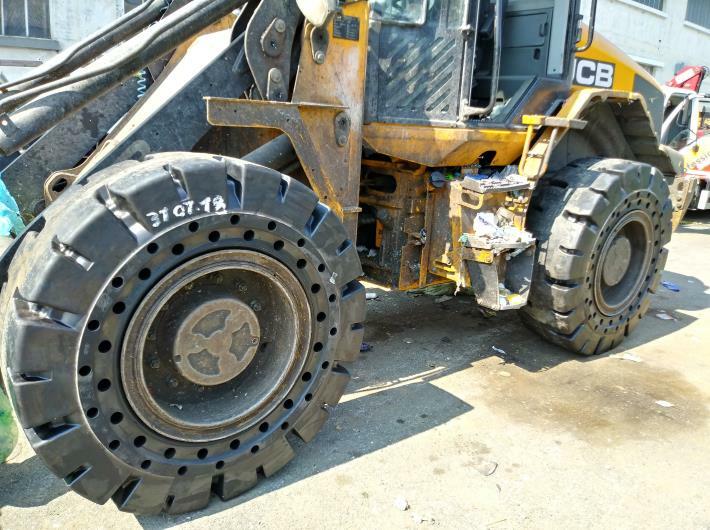 The customer had obtain a very important results with ECOMEGA compared previous fitment, and decided to install ECOMEGA in all their fleet. 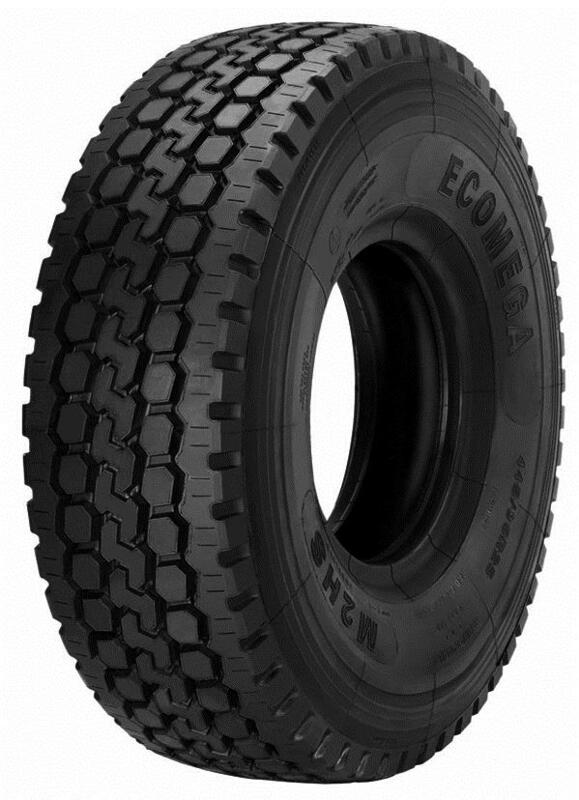 Tyres are 18.00-25 ECOMEGA L4-S SMOOTH PR40 TL. 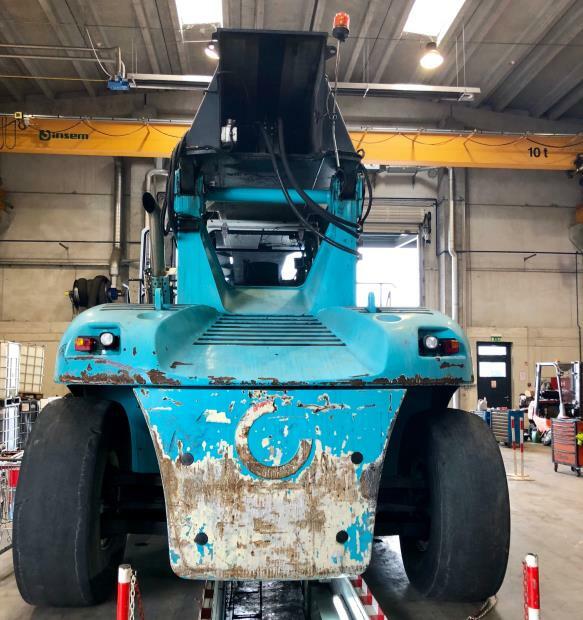 ECOMEGA is proud to inform You about a successful performance obtained by an Austrian Customer who has as a fleet of 5 reachstackers working in port applications. 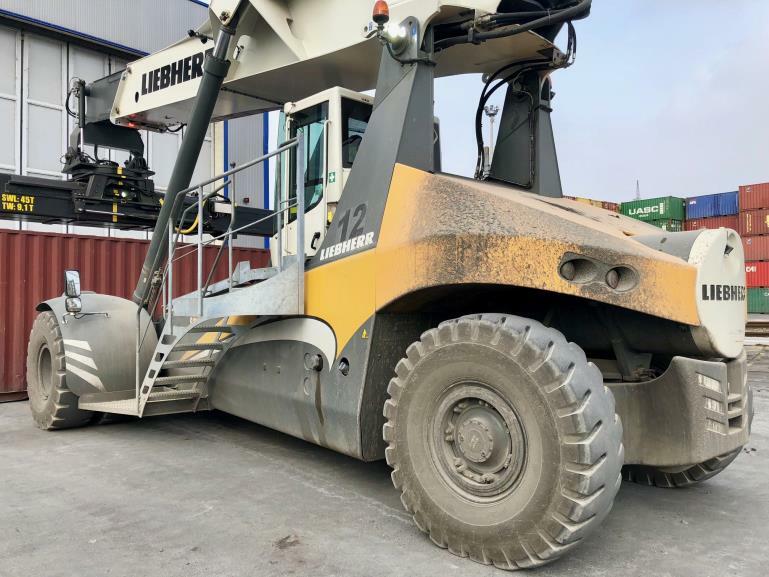 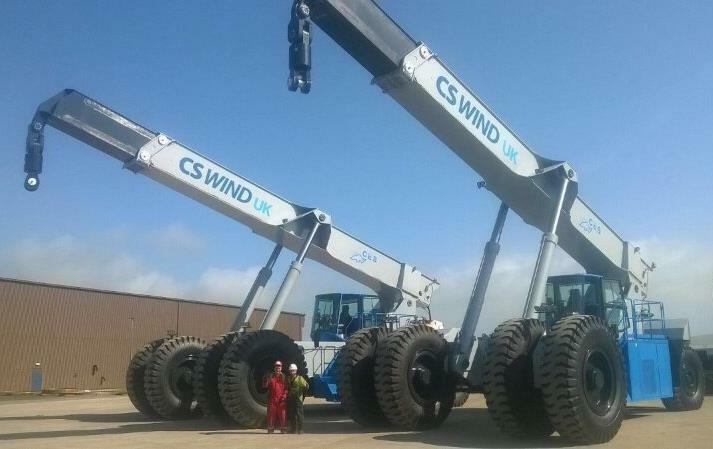 Tyres are 18.00-25 ECOMEGA CTR HANDLER PR40 TL mounted on one of these LIEBHERR LRS 545 machines. 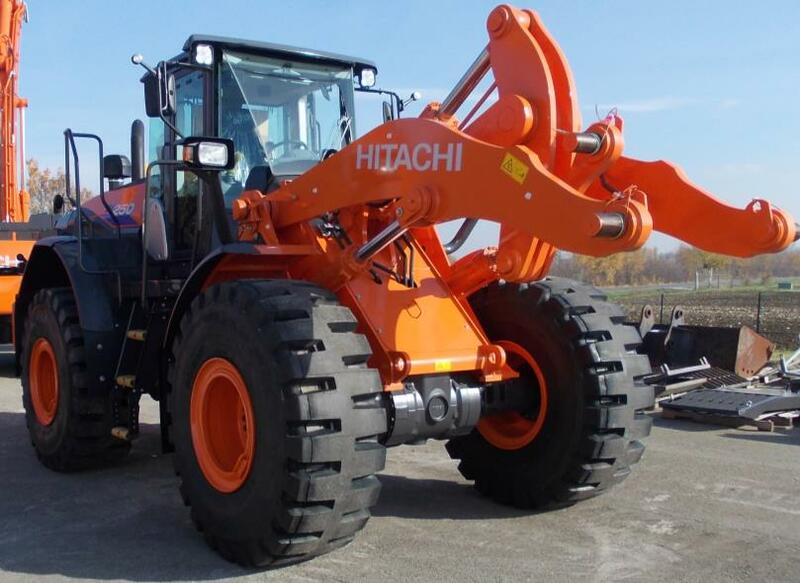 ECOMEGA has been chosen for the third time to equip these reachstackers. 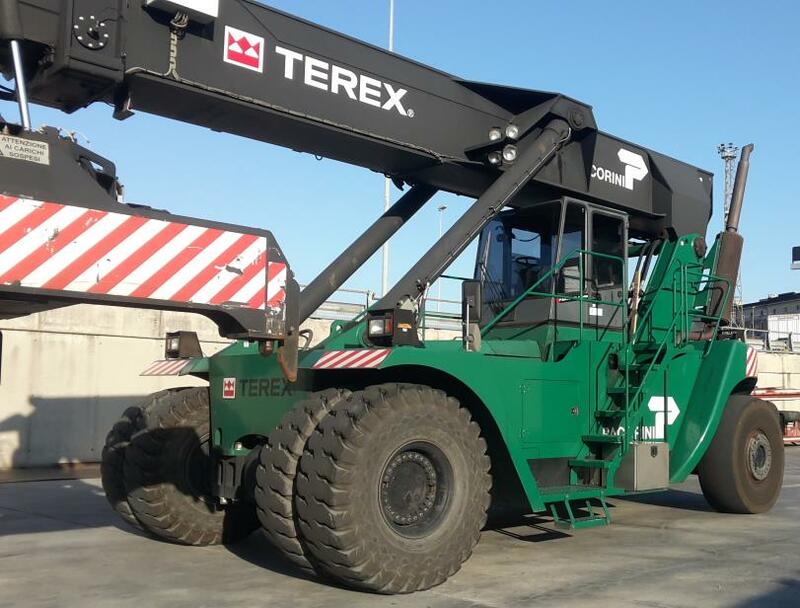 This mobile cranes is equipped with ECOMEGA M2HS. 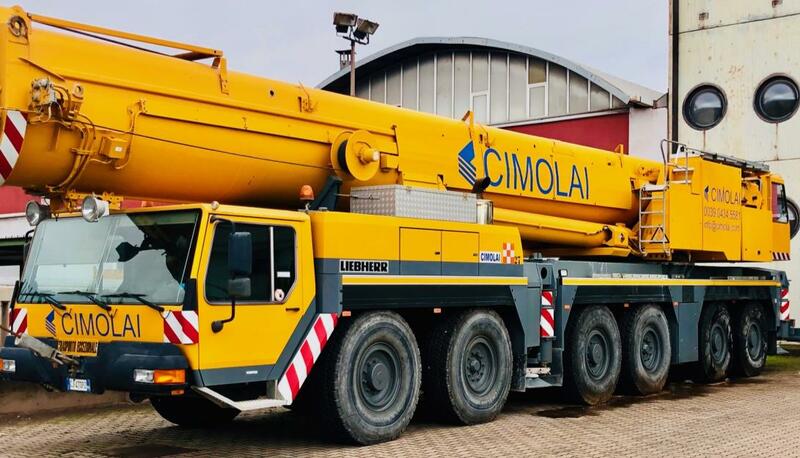 The crane is part of one of the most important rental fleet in the north of Italy. 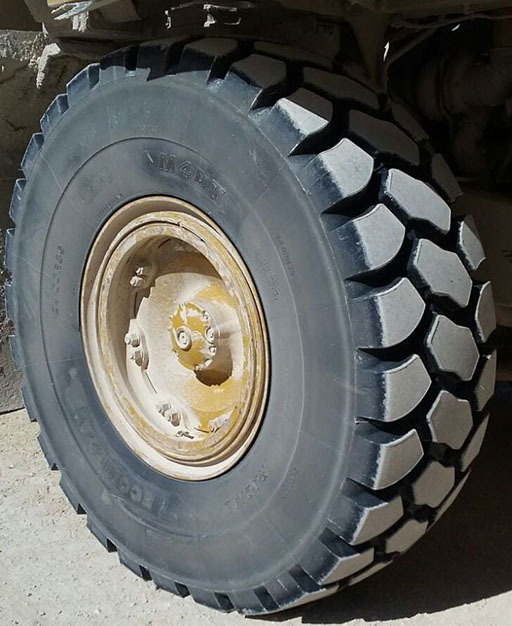 Tyres are ECOMEGA M2HS SIZE 445/95R25 (16.00R25) 3*** TL. 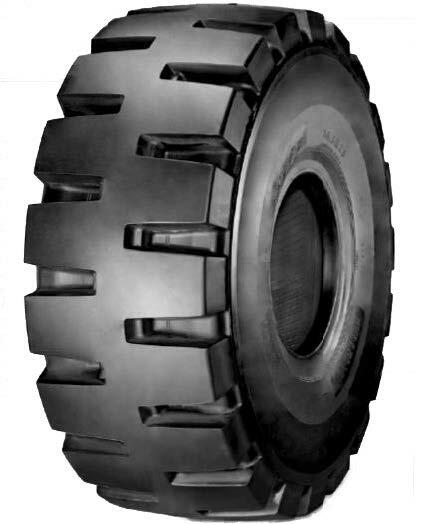 ECOMEGA M2HS and also the NEW ECOMEGA M3HS are a steel constructed radial mobile crane tyre, for optimal resistance to cuts, impacts and heat build-up. 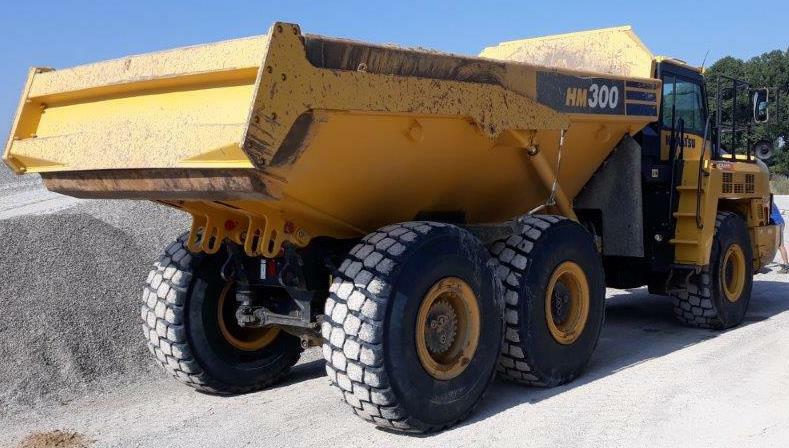 Now is also available the latest version M3HS. ECOMEGA EUROPE INDUSTRIES S.R.L. 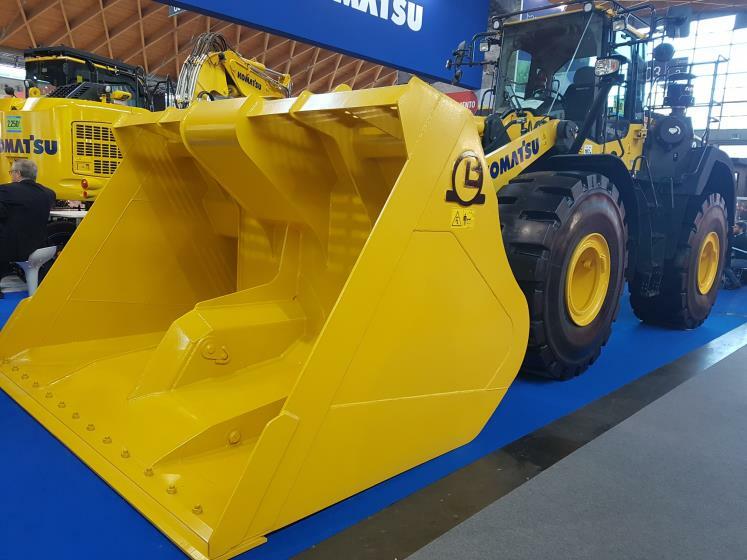 confirms the excellent feedback after ECOMONDO 2017. 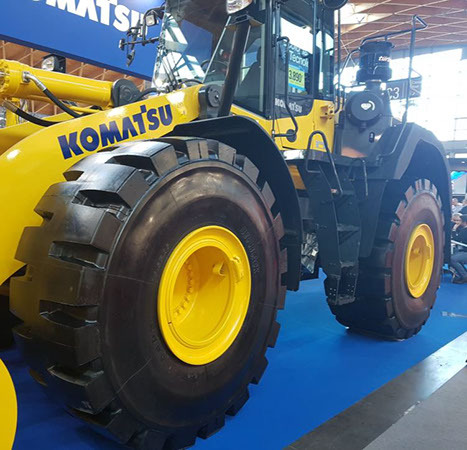 BULLBLACK obtained a big success at ECOMONDO exhibition in Rimini, where all visitors had the opportunity to discover tires specially designed for mining plants, mounted on a new KOMATSU WA470 loader. 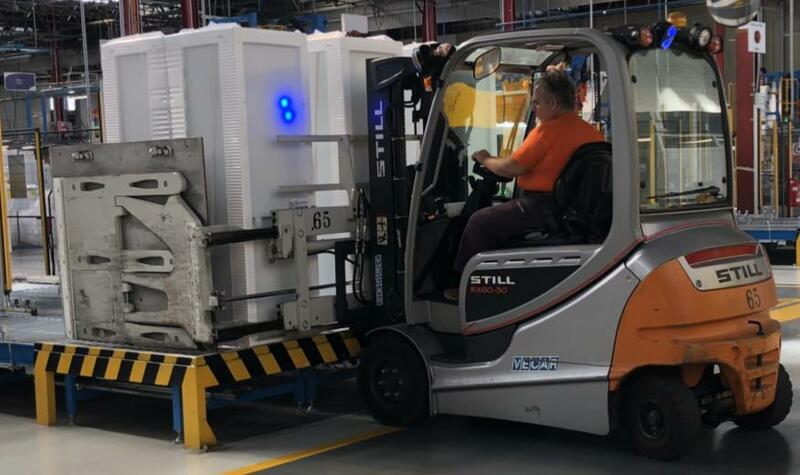 This initiative, organized together with the manufacturer, aroused great interest also among those employed in the sector, even after the events closing date. 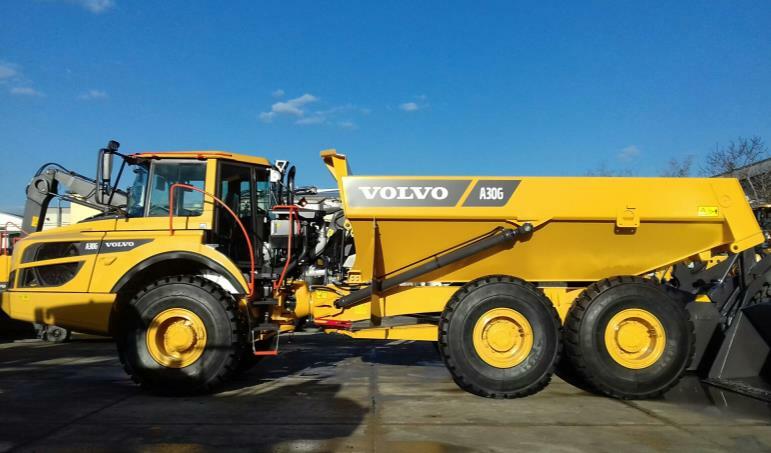 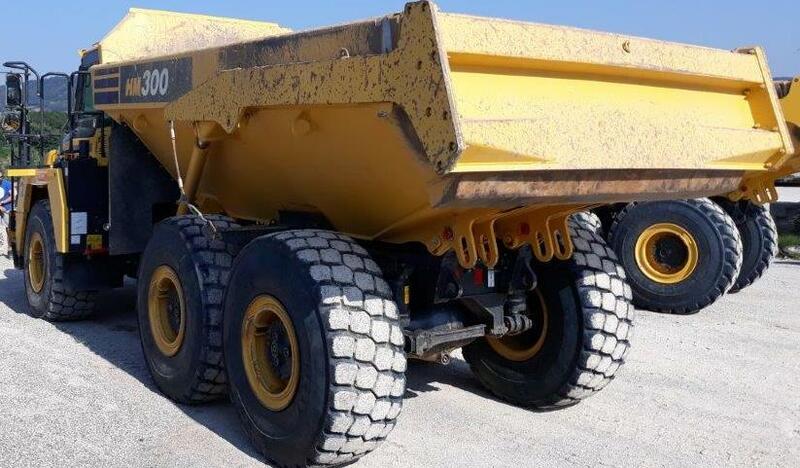 Once again SACCON GOMME & ECOMEGA tyres have been chosen from a major machinery dealer, VOLVO ITALY to fit 3 new dumpers A30G of its Italian rental fleet. 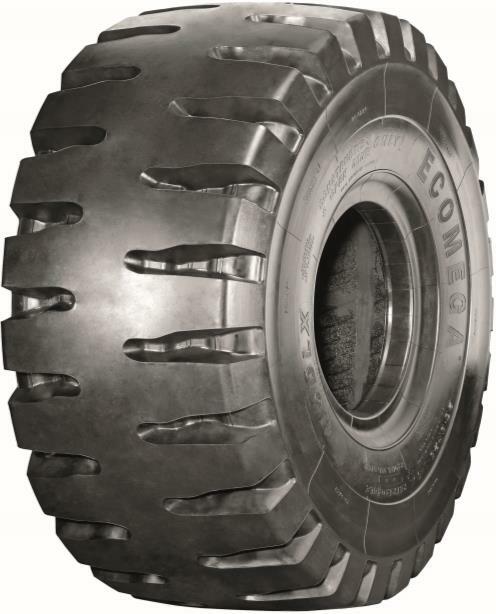 ECOMEGA M4AT E4/L4 2** TL as tyre equipment. 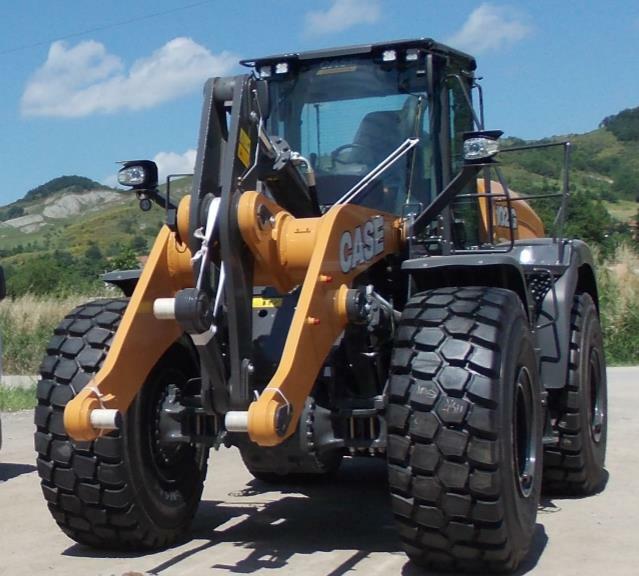 ECOMEGA is proud to inform you about a successful performance obtained by an Italian customer. 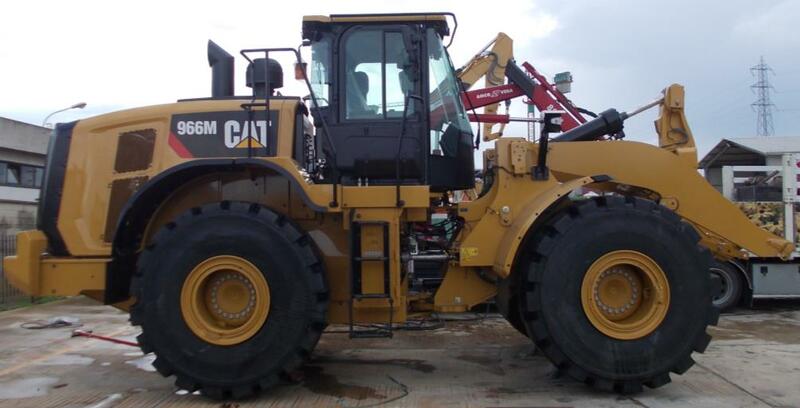 This customer has a rental fleet working in port applications. 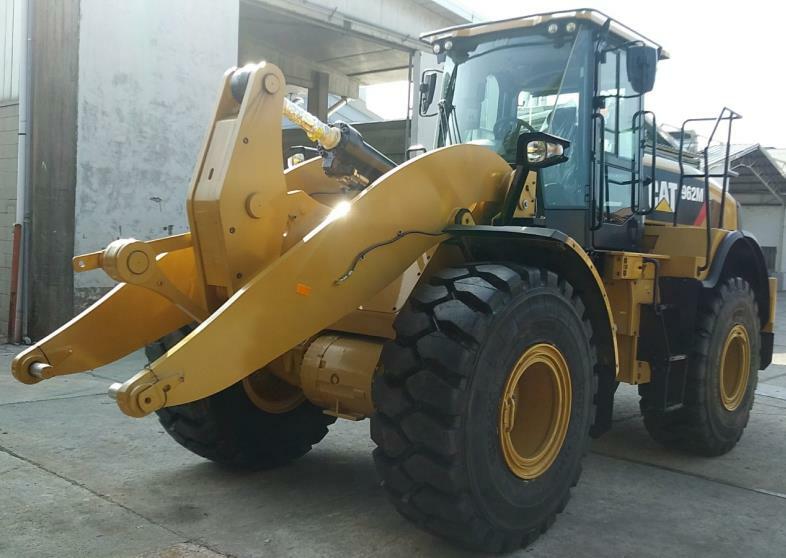 On 29-09-2017, he has declared that ECOMEGA 18.00-25 L4-S SMOOTH Industrial service 40ply working on Terex CS45KM, have worked for 3.200 working hours. 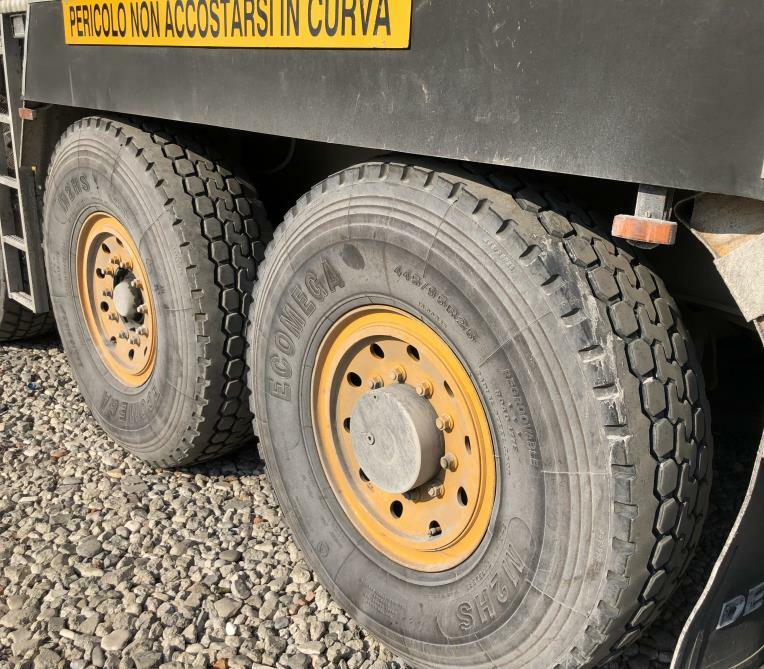 Ecomega Industries is proud to announce it has taken part to the realization of 2 particular modular transporter equipped with exceptional reinforced industrial tires. 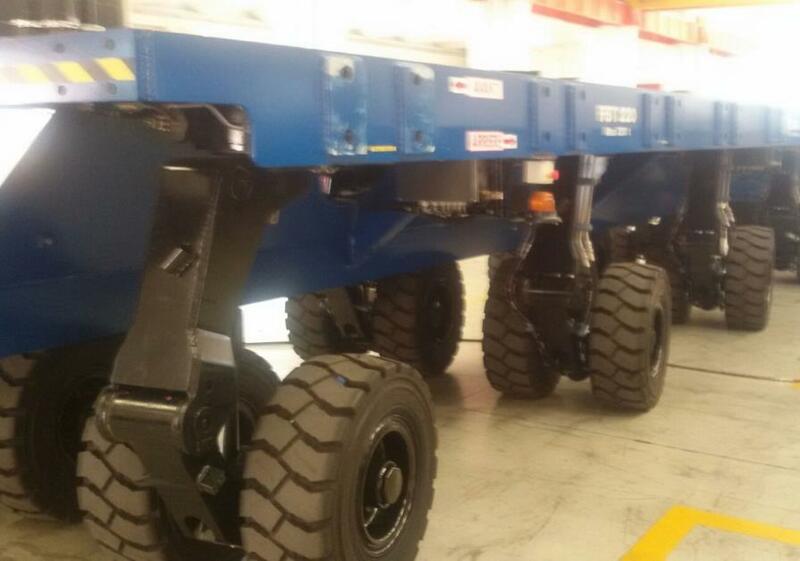 The machines concerned are 02 modular transporter trailer. 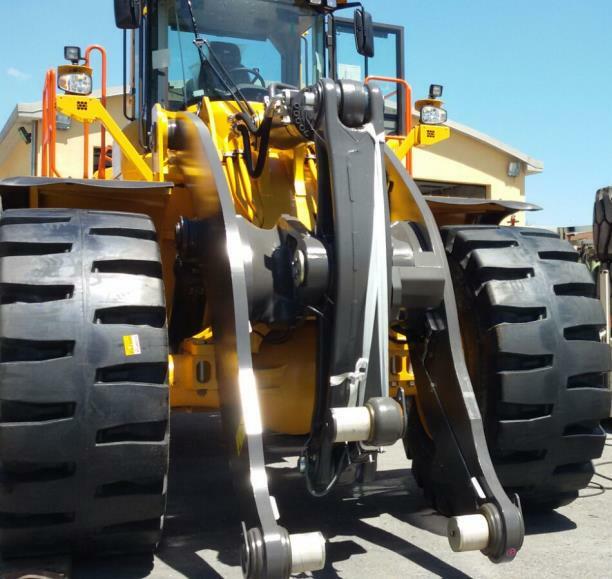 Characteristics: Frame construction specially developed for heavy loads. 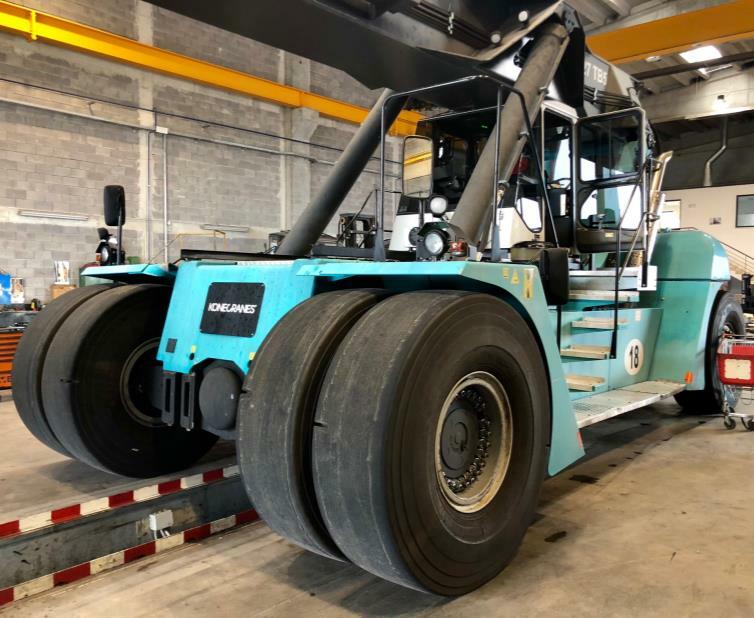 Ecomega Industries is proud to announce it has been chosen from a machinery Builder for a very particular and demanding application, to fit a new TRAVEL LIFT machine. 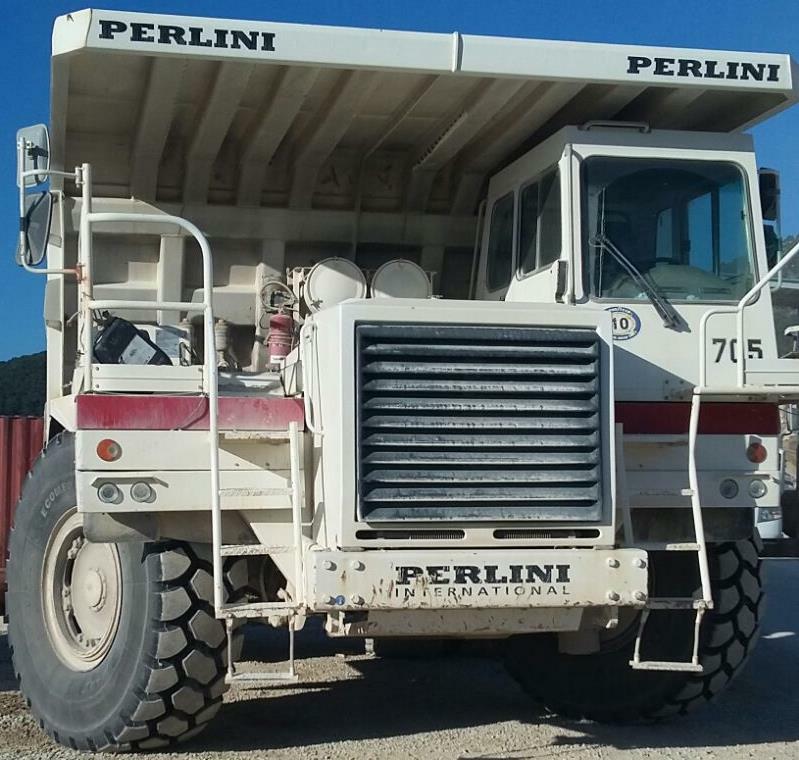 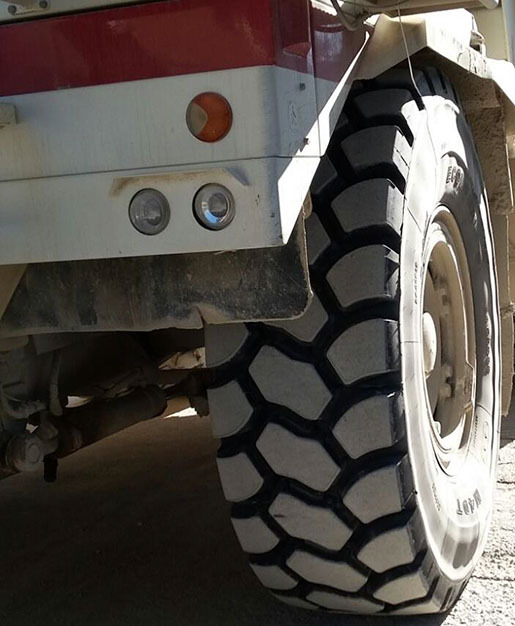 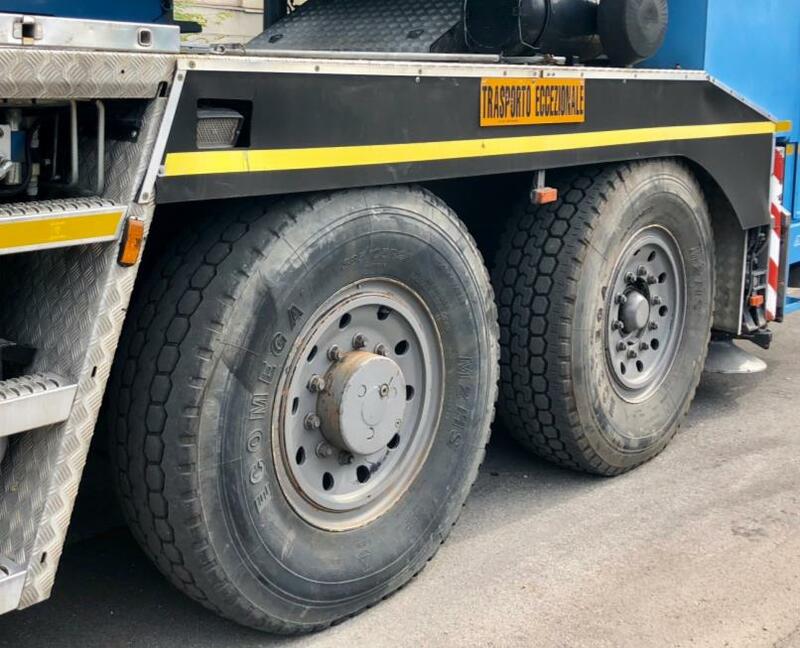 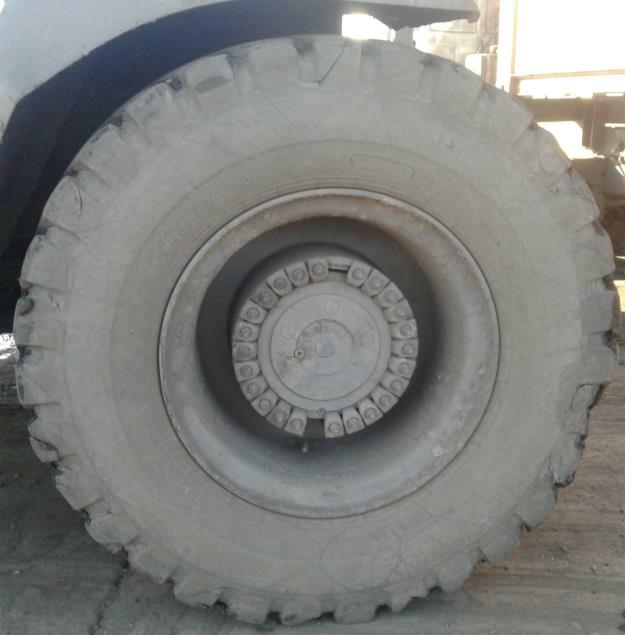 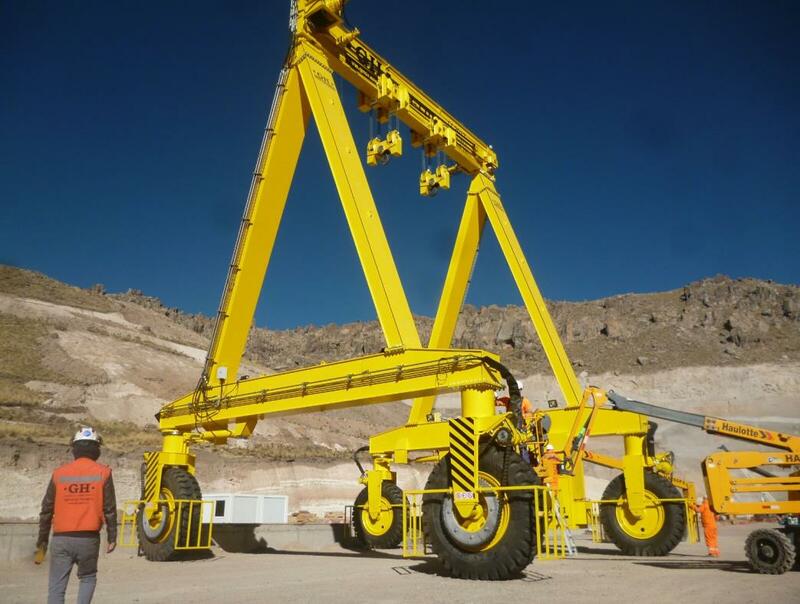 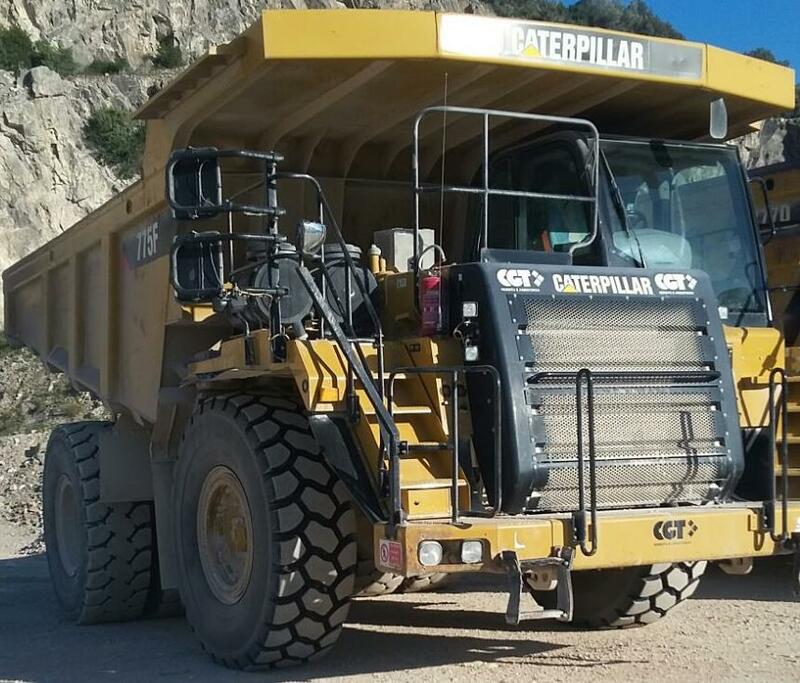 Tyres fitted are 24.00-49 ECOMEGA E4 PR48 TL fitted on a TRAVEL LIFT of 100 ton elevation power, working in a Peruvian mining industry at 4.200m of altitude. 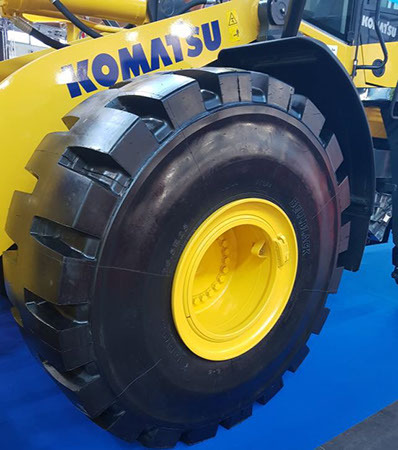 Another success for the ECOMEGA tyres, which were displayed again mounted as Original Equipment on new Terex Machine presented at GIS 2017. 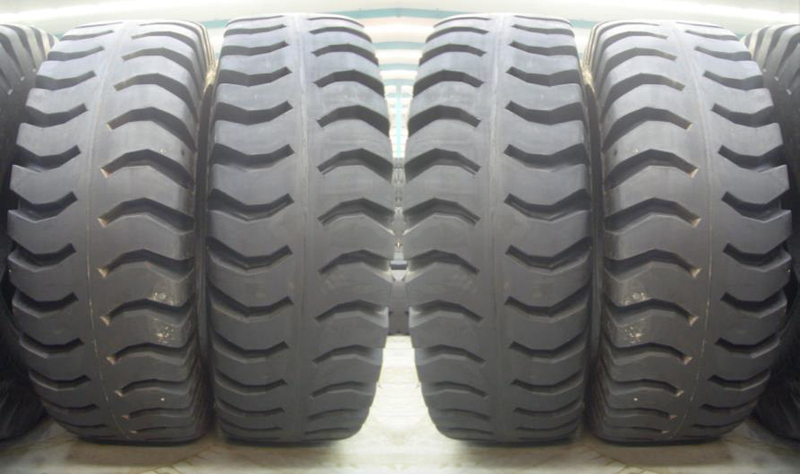 The dimension of the tires is 23.5R25, pattern Ecomega M3HA+ in E3/L3 and 2** reinforced casing. 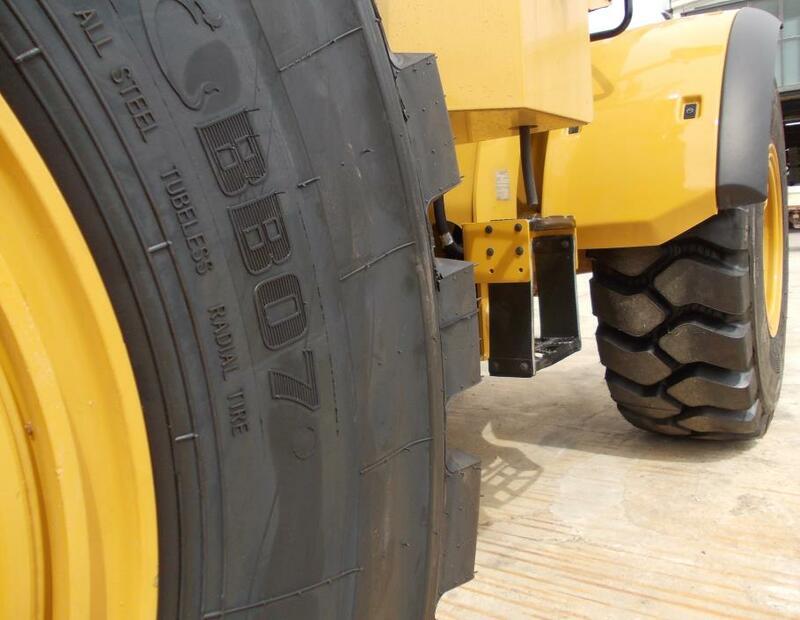 The machine and the tires created a lot of interest among visitors from different parts of world. Once again SACCON GOMME & DIAMONDBACK tyres have been chosen from one of the major OTR machinery Dealers in Italy. 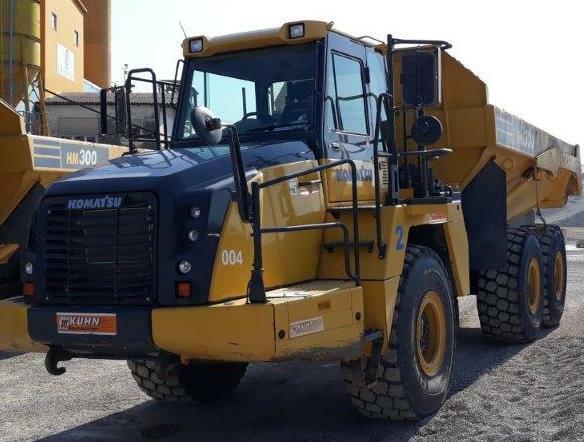 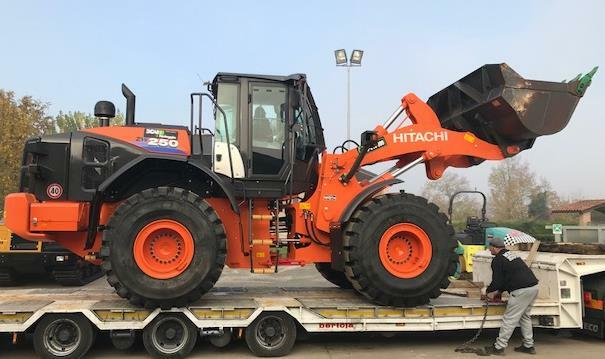 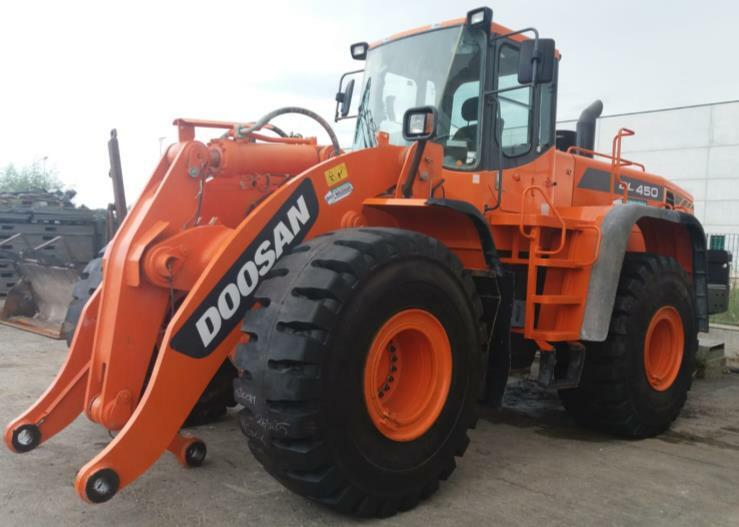 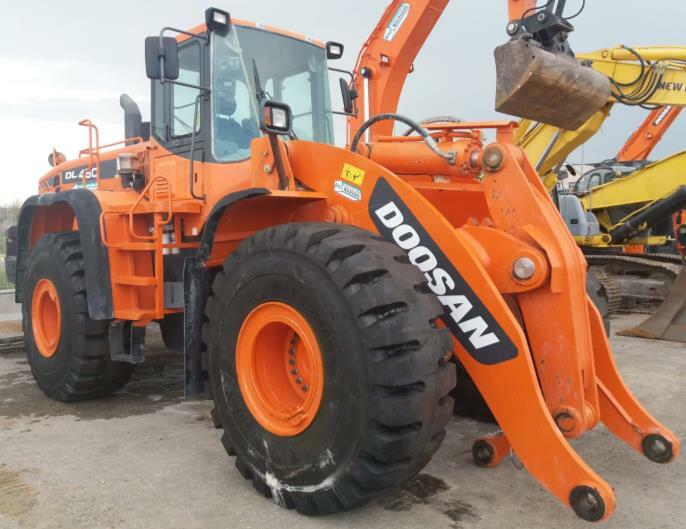 The company is the exclusive importer of DOOSAN machinery for the Italian market & it has fitted with DIAMONDBACK tyres the Wheel Loaders fleet of the Municipal Company AMSA. 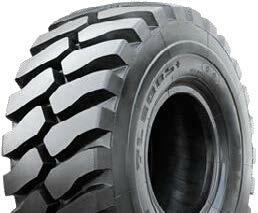 Tyres are 20.5R25 & 23.5R25 DIAMONDBACK L5 2**. 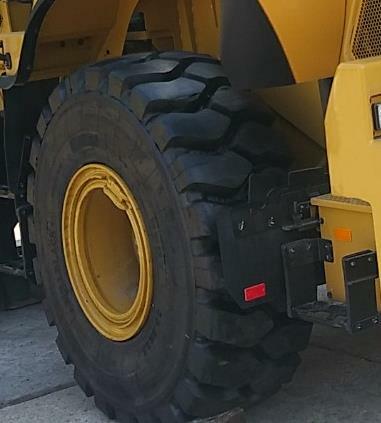 Ecomega Industries is proud to announce it has taken part to the realization of 2 particular machines equipped with exceptional industrial tires. 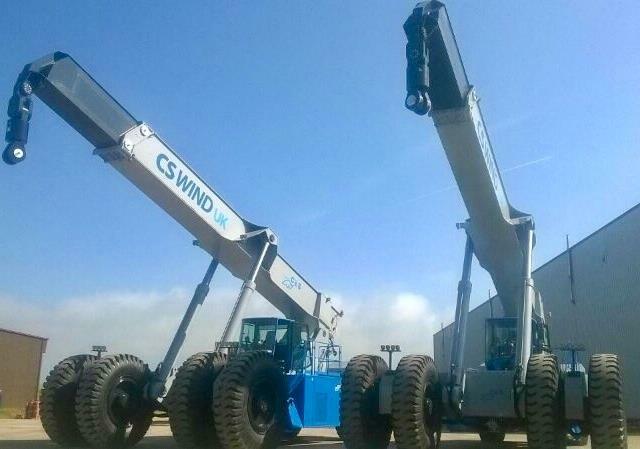 The machines concerned are 02 VRS versatile reach stacker produced by CES Heavy duty series up to 500T. Rear 02 ECOMEGA 24.00-35 E4 IND PR48 TL. 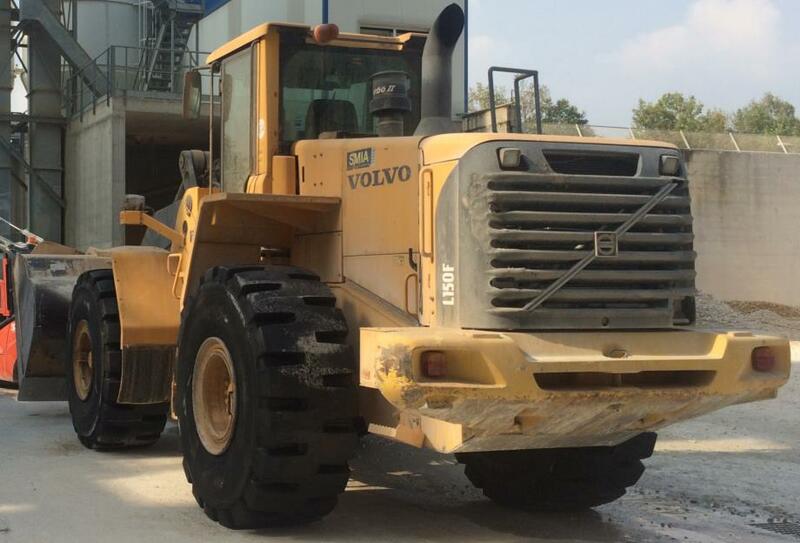 ECOMEGA is proud to announce that it has been chosen from a leading Italian customer to fit his new VOLVO L350F in original fitment from the factory for his hard job in marble quarry of Carrara in Tuscany. 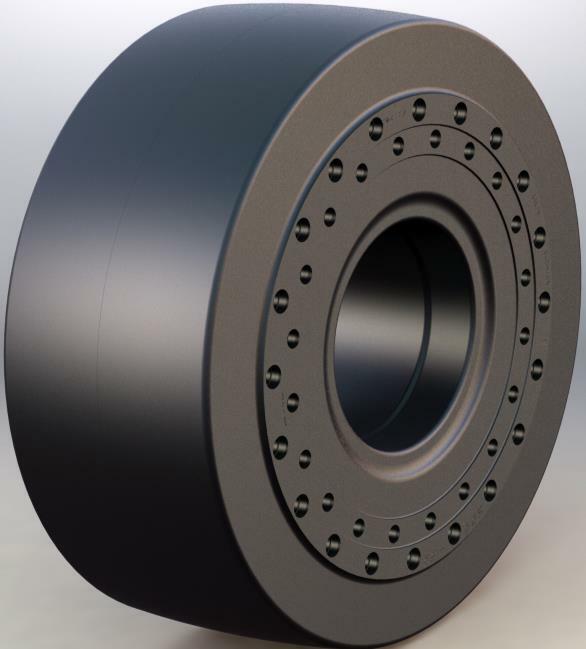 ECOMEGA is proud to inform you about a successful performance obtained by a South African customer. 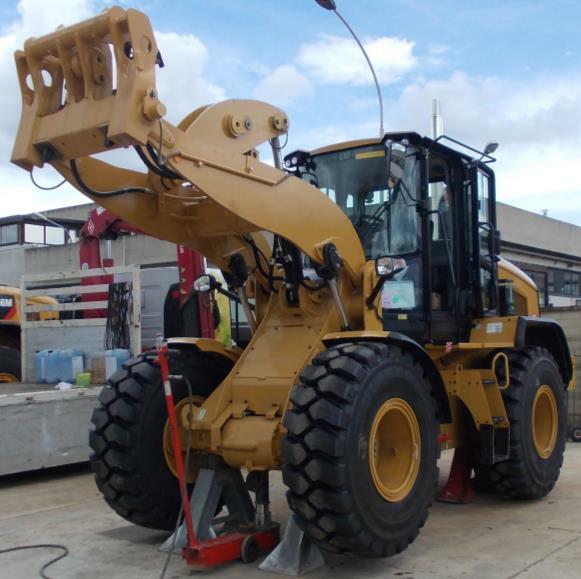 This customer has a rental fleet working in intermodal train station. 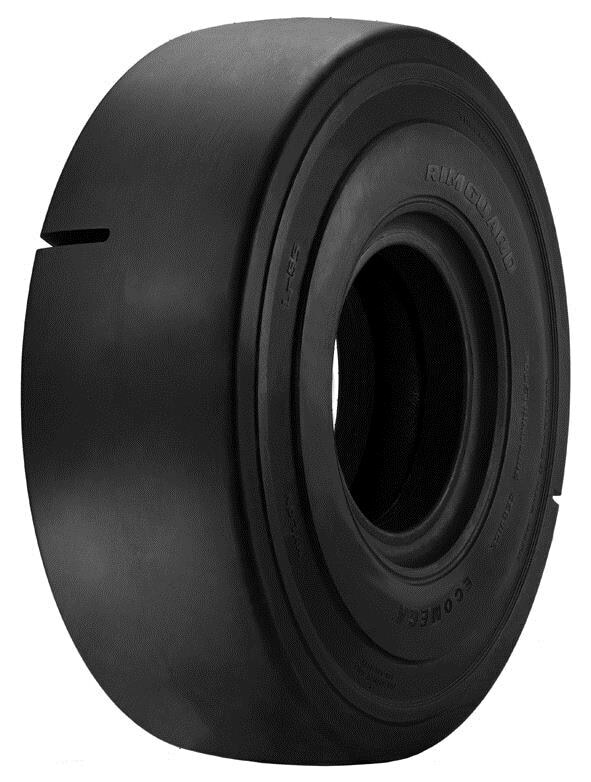 We are proud to announce the introduction of a new PR48 version of 35/65-33 ROCK5, one of our best seller products. 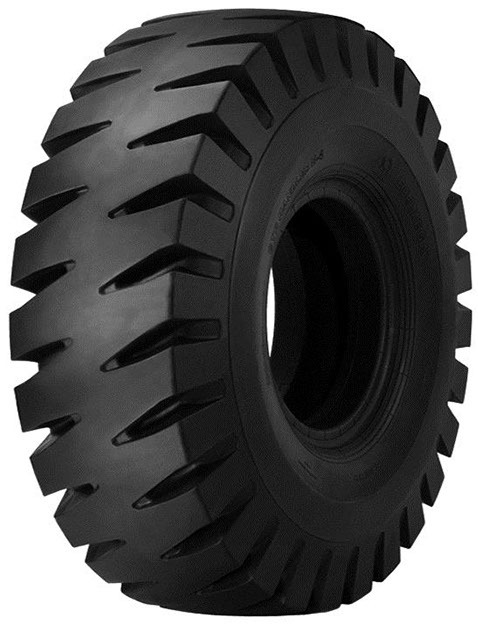 The new tyre PR48 will be available in addition to the PR42, already in the market since some years. 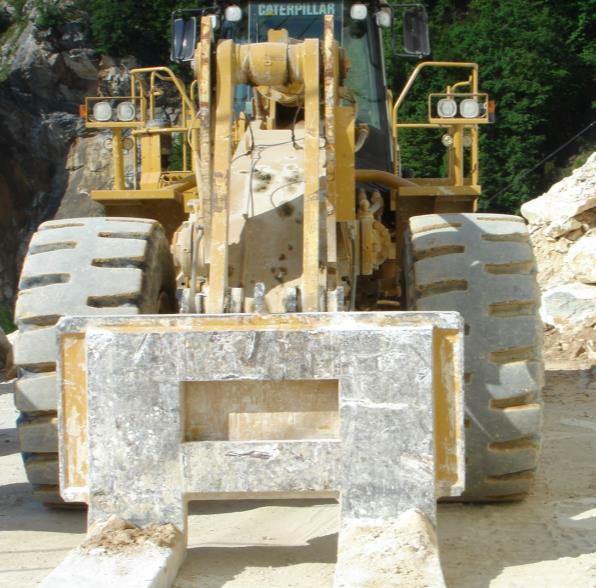 The latest version is designed to meet the newest machines’ demands and is particularly suitable for Loaders working in marble applications and equipped with forks. 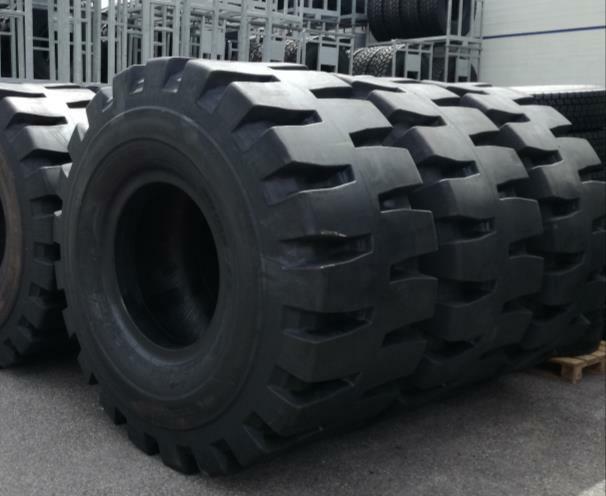 Tires are available on stock in our Europe Warehouse and ready to be shipped. 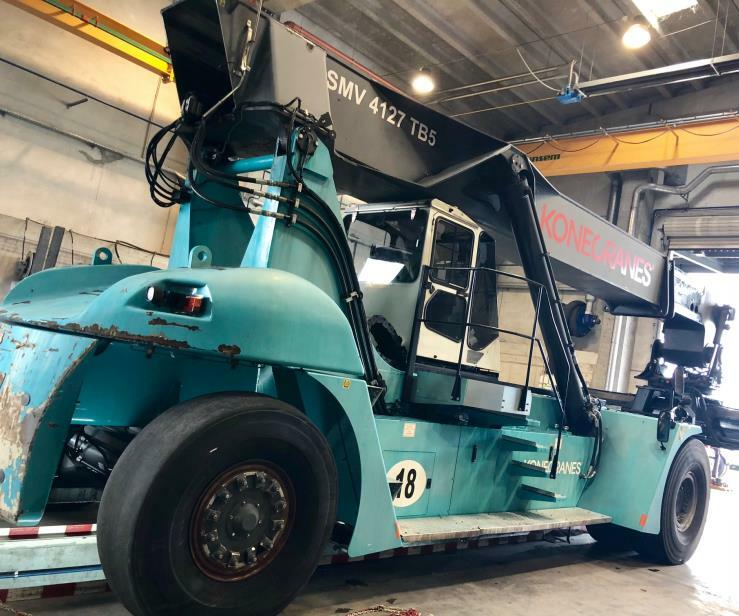 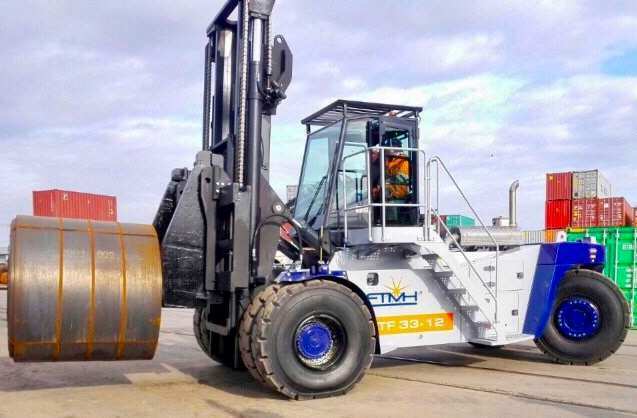 ECOMEGA is proud to inform that two FTMH forklifts with ECOMEGA tires, as original equipment, have been delivered to one of the major operators in Ravenna Port. 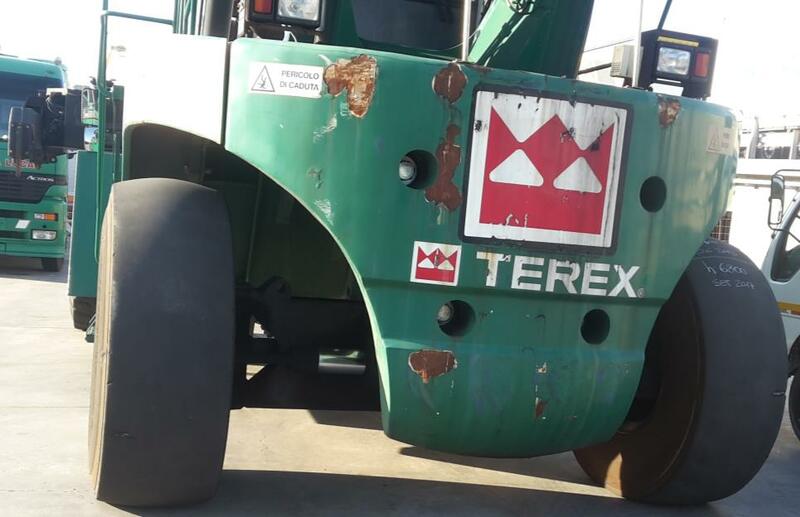 The forklifts transport steel coils and load them into the vessels departing from the port. 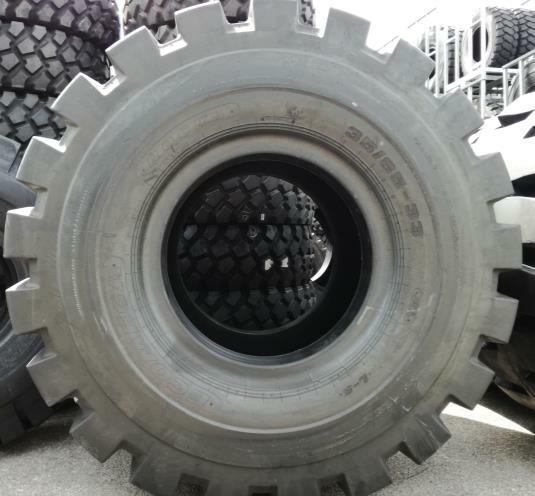 The tires, in ORIGINAL EQUIPMENT, are 16.00-25 ECOMEGA E4 IND. 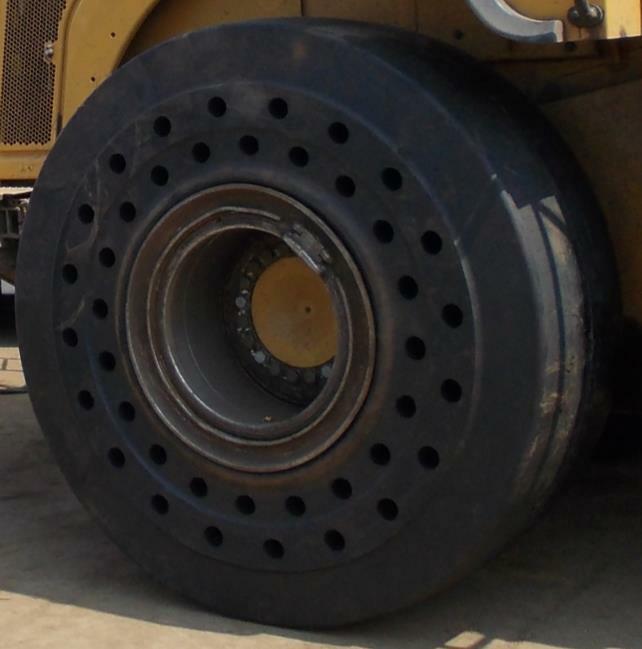 PR32 REINFORCED. 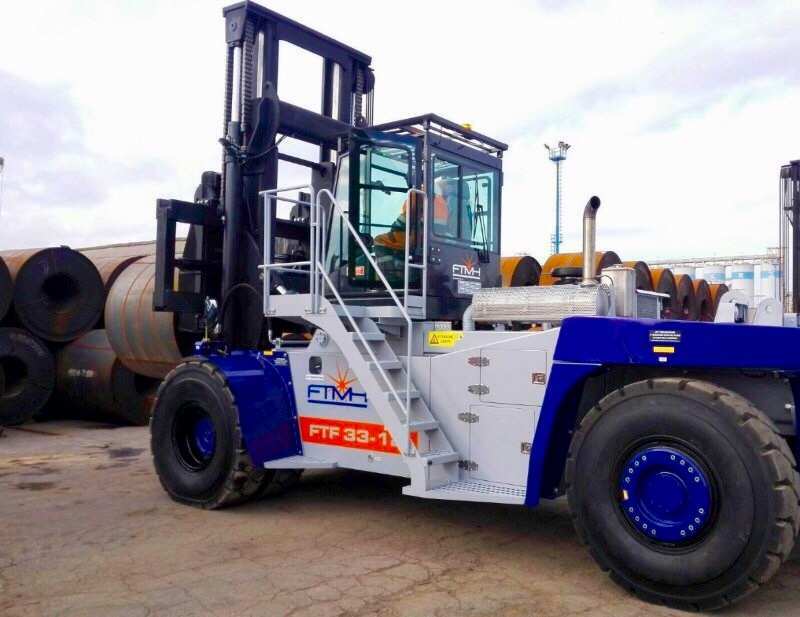 The forklifts are FTMH FTF 33-12 with 33tons of loading capacity.